All Here In 1 Thread <> Other Useful Information > Posts Of Interest > Problem Solving > YouTube Tutorials > Compatible Mods For LSH3-2015 > FAQ's. 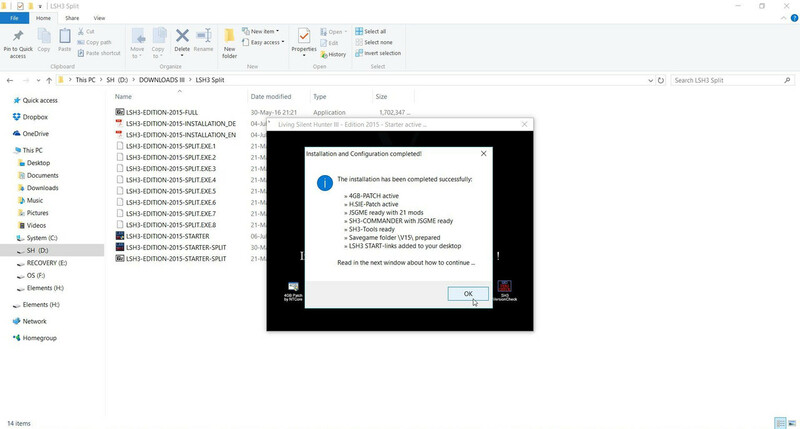 The problem „L/SH3 show only black screen… but with sound“ (only with Widescreen Mods) is solved > Latest Information By Urmel. 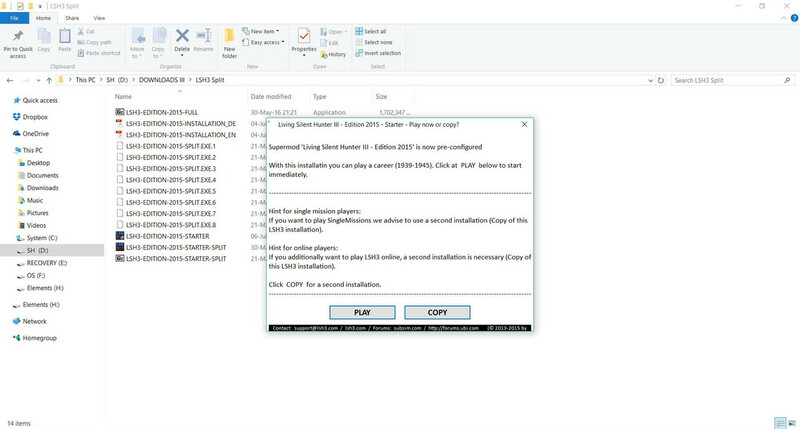 How To Download > Install LSH3-2015 And Set Up The Mega Mod. Let Discord and THEBERBSTER come to the rescue. Just send me a PM > I am usually available most evenings at20.00 hours GMT. With over 40 pages on the LSH3-2015 thread containing over 500 posts many of which are asking the same questions it is not practical looking through the post's which is time consuming. Hopefully this Tutorial Thread will answer a lot of those questions. 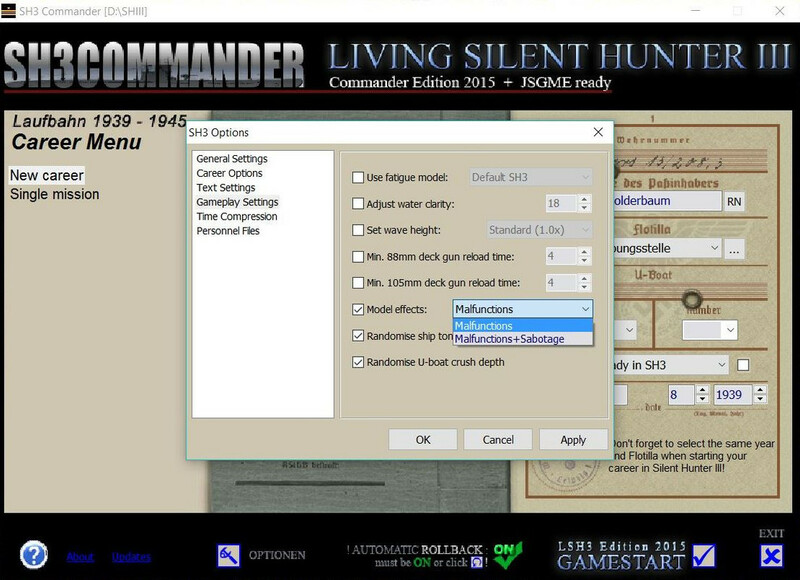 Step by Step Tutorials using the LSH-2015_GUI _WIDESCREEN Mod. Post #2 Un-installing SH3 > Using A Registry Cleaner. Post #31 Game Freezes on Startup. Post #45 Steam Conversion Installation Instructions For LSH3-2015 > By ValoWay > New Instructions. Post #55 Why Do I See “Null” When I Want To Transfer To A New Flotilla > By Urmel? 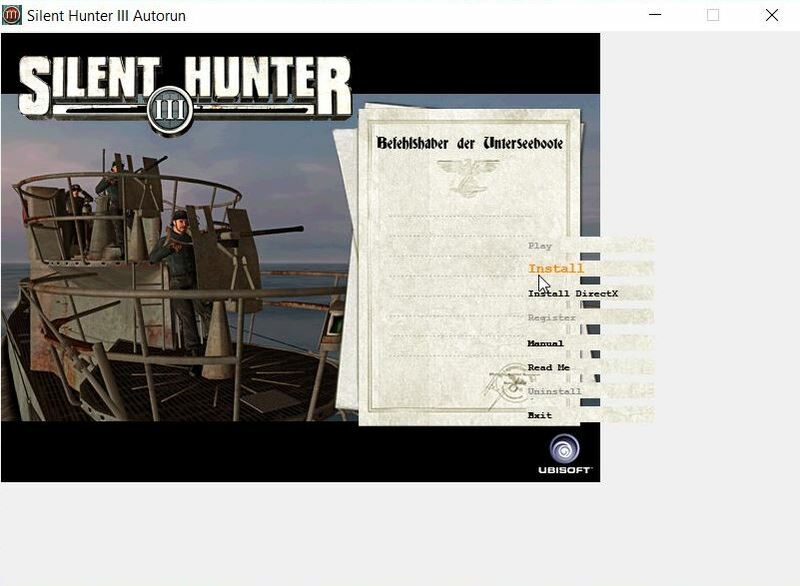 Tutorial - U-boot TDC manual - SILENT HUNTER III (english v.
For better understanding "DX9" Problems and / or "d3d9.dll" Problems ("d3d9.dll" is a part of "DX9"). Is there a targeting tutorial in English for manual targeting in LSH 2015? 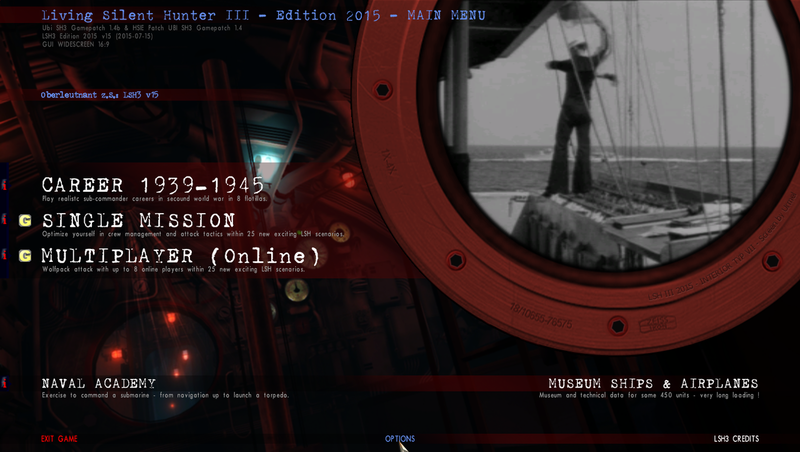 MultiSH3 > Already included in LSH3-2015 > Download includes full instructions. Problem Solving the Error > Cannot initialize 3D Engine? 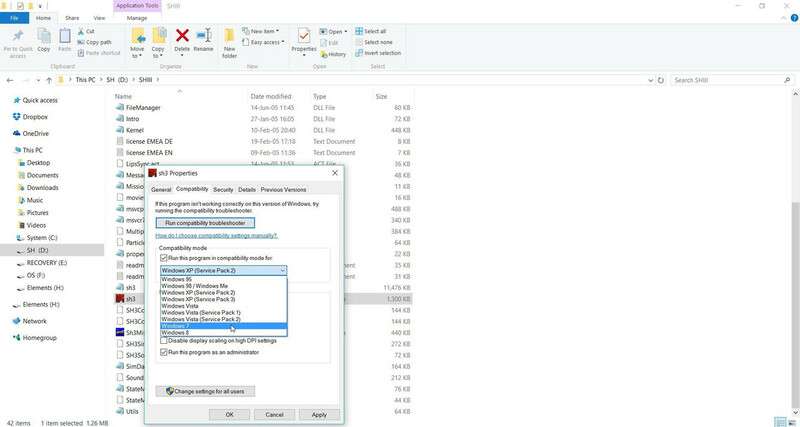 (Removes Starforce Protection) Unpack and copy the files into your installation folder. Want SH3 To Run Better By Jeff-Groves? 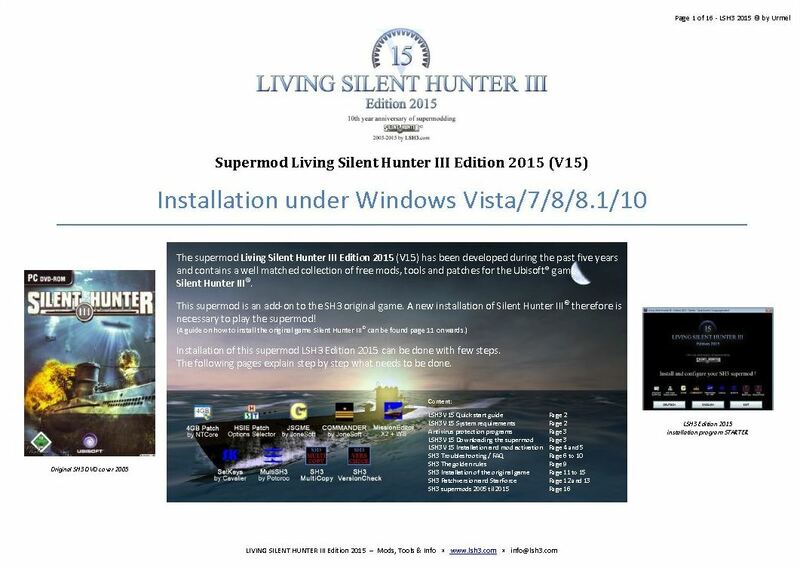 LSH3-EDITION-2015-INSTALLATION_EN.pdf - 2 MB < Original Installation Instructions Download. Ahnenerbe WideGui 1920 x 1080 Final > LSH3 Compatible > Enable JSGME. HSIE O2-Gauges v2 > LSH3 Compatible > Enable JSGME. 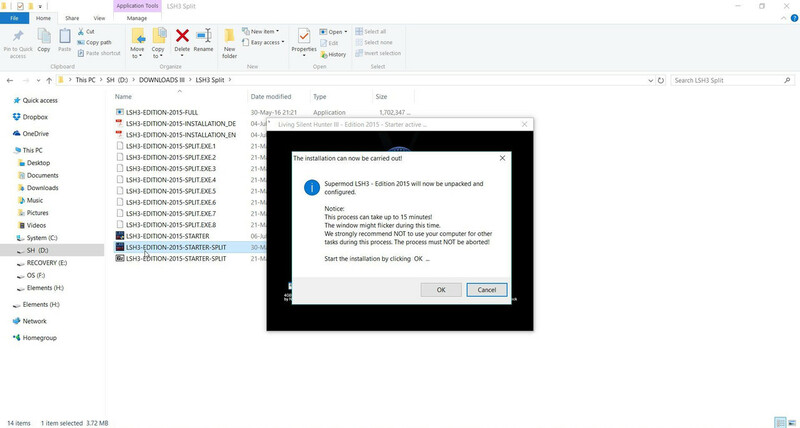 My game crashes when loading the blue LSH3.com screen. This can happen from time to time but should not be anything to worry about. Reload the game as before and you should be ok. When the game starts to load it seems to freeze. Your game is gathering data and this takes time. Depending on your computer’s performance this can be 2 to 10 minutes or more. My game gets near to the end of loading and then crashes each time I reload it. This is a compatibility problem. If using OS10 use compatibility mode OS7. If using OS7 try XP2. 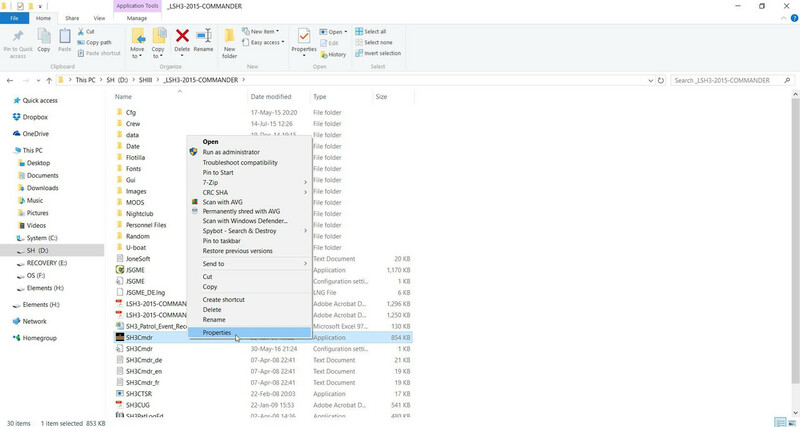 Change your SH3.exe to run as an administrator. 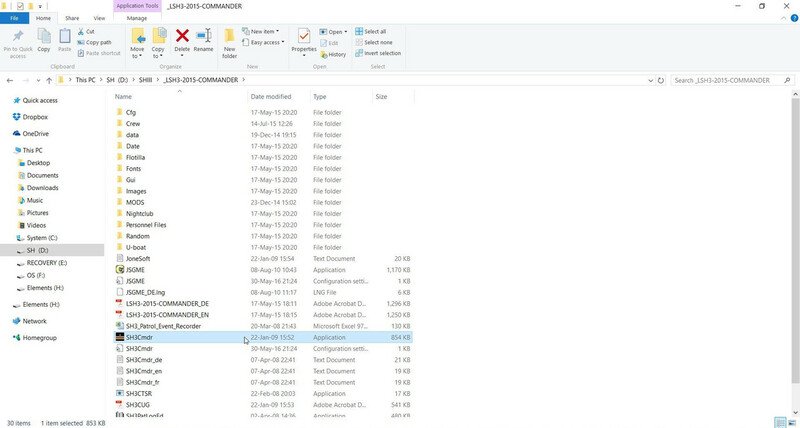 Change the SH3Commander.exe to run as administrator only. I have made a number of successful game saves and now my last saved game will not load and is crashing. Do not make any game saves near destroyed marks or near a lot of activity. 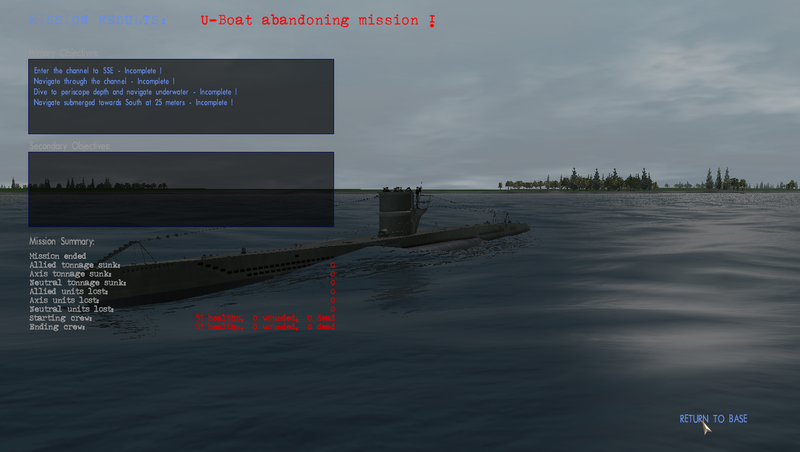 Allow a 60km distance from the destroyed mar to your U-Boat. My periscope will not stay up. If you have enabled the ‘HSIE Periscope fix patch’ then this will be the answer. When a certain speed is reached the periscope will start to blur and then will automatically retract. I want to enable the HSIE patch in JSGME but my anti-virus will not let me. 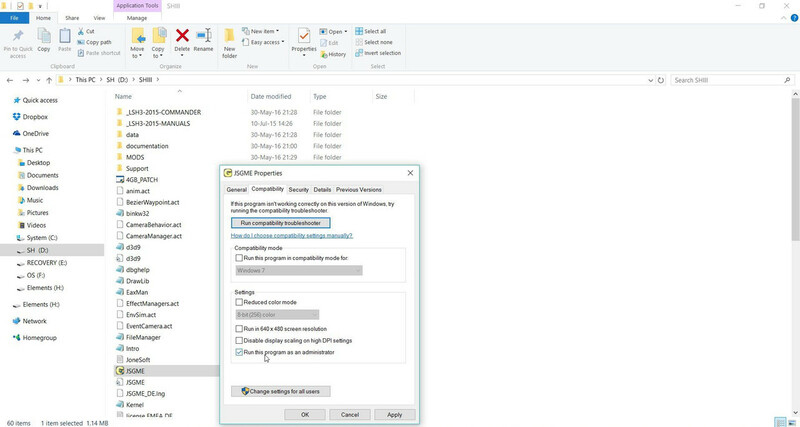 Set your anti-virus to make an exception for the HSIE.exe. If you do not know how to do this, with the HSIE still disabled turn off your anti-virus. Make any changes to the disabled HSIE that you wish to make before enabling it. Turn the anti-virus back on. My Telegraph has just stopped working. Put the Telegraph into a Reverse Speed and then move it to a Forward Speed. I wish to change the number of days in base. 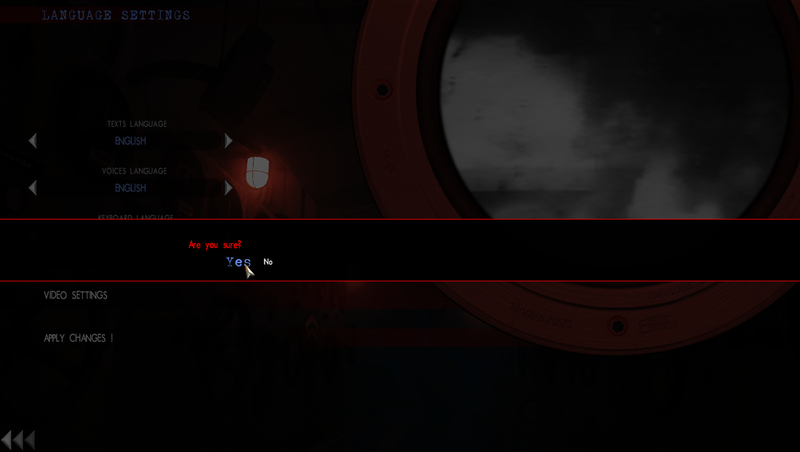 In SH3Commander go to ‘Optionen’ and then ‘Career Options’. Tick the box ‘Set number of days spent in base’ and change the 28 to your choice. Why can’ I get better protection against aircraft in bad weather? 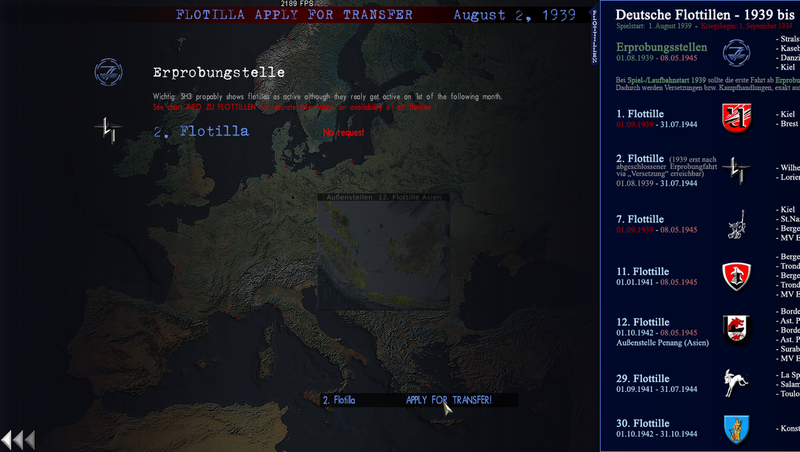 I am using Ahnenerbe's wide screen mod but when I transfer to the Eprobungstelle Flotilla although my base shows as Stralsund my U-Boat is in West Africa. Ahnenerbe's wide screen mod is not compatible with the transfer process. How many meters in 1 knot? 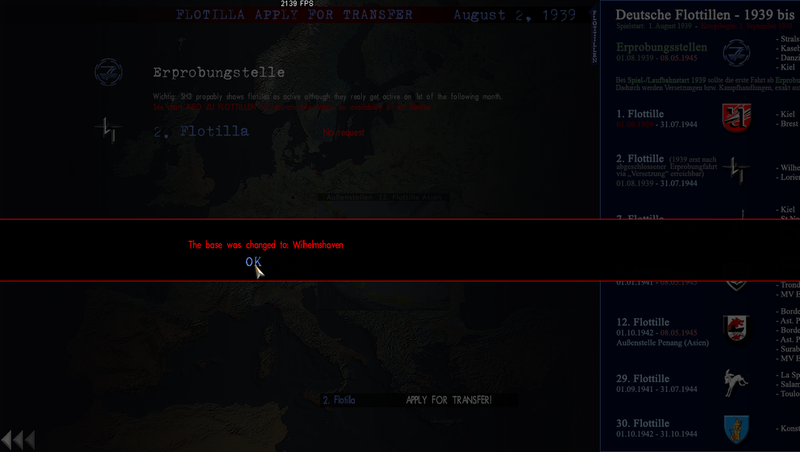 I selected the 30th Flotilla and when I start the game I am in West Africa not Konstanza. Can I start my New Career with a Type IX boat rather than a IIA or VIIB. Yes by changing the starting month 8 to 10 you will have the option of a IXB. 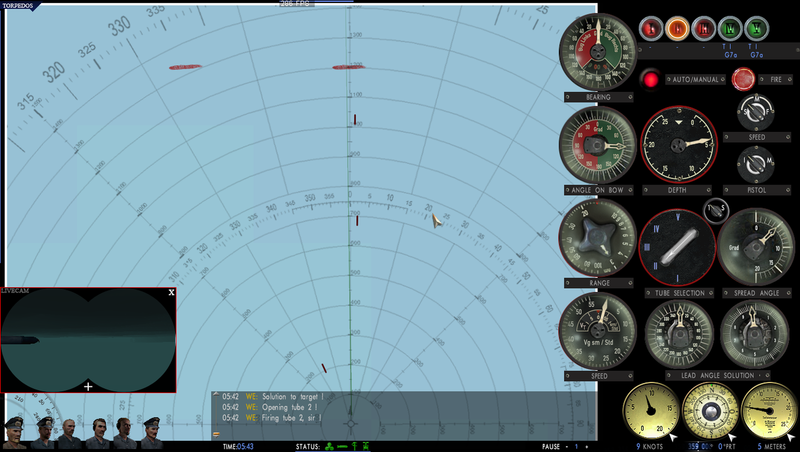 I am using the OLC mod but after I take the range my mast values seem to be wrong. You need to multiply your mast value x 2 when you make range readings even when the recognition manual does not state that. Last edited by THEBERBSTER; 03-10-2019 at 02:36 PM. 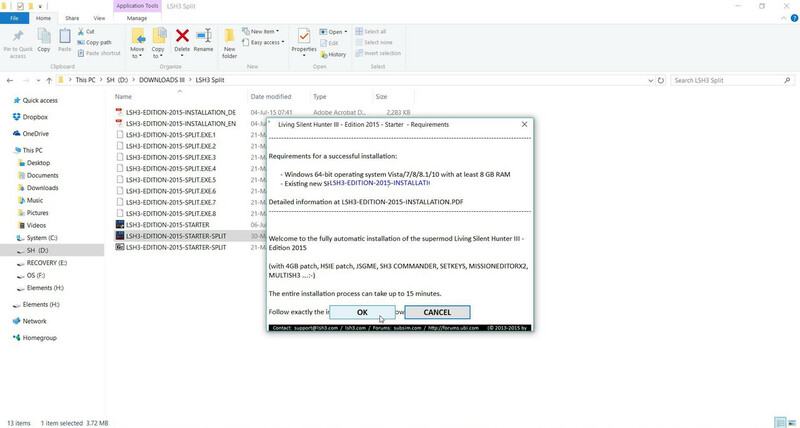 If you have previously installed SH3 it must be un-installed as LSH3 needs to be installed on a fresh SH3 installation. Go to the > Control Panel. Find SH3 and open it. 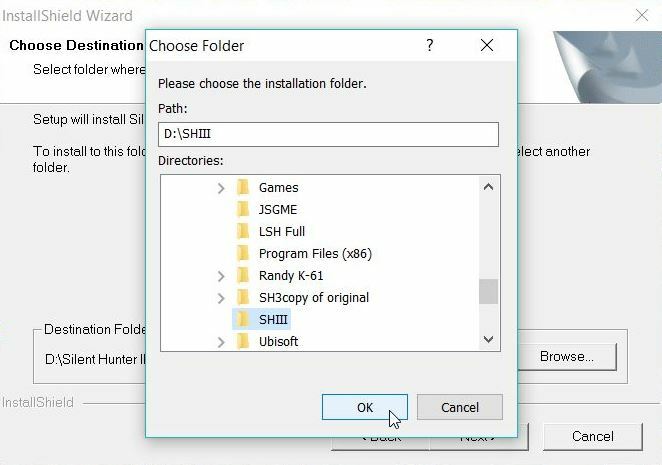 Select > Complete un-install including your saved games unless you intend to use them by having more than 1 SH3 installation. 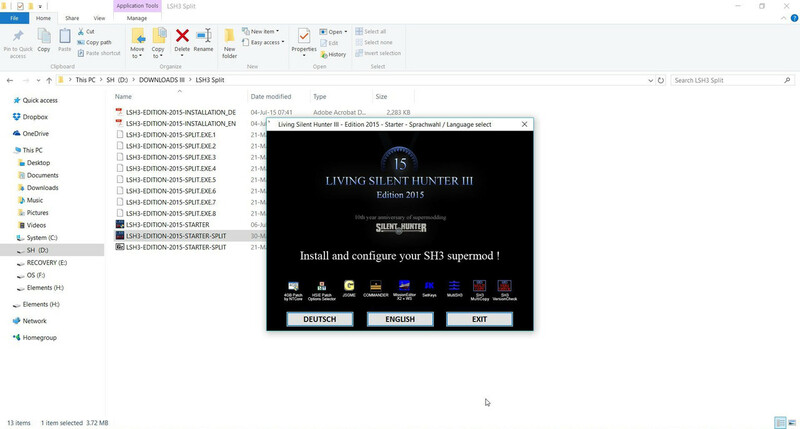 For example if you were a GWX gamer and now you want to try LSH3 then using the SH3.exe Multi Copy would allow you to use both gmes. 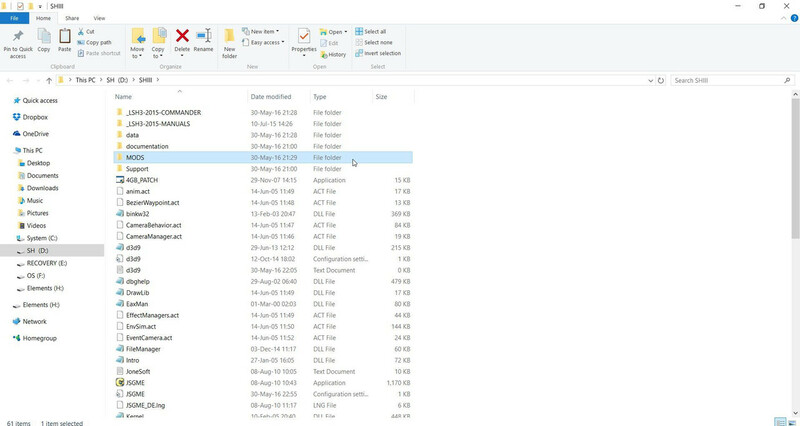 Go to your original game folder and delete it. 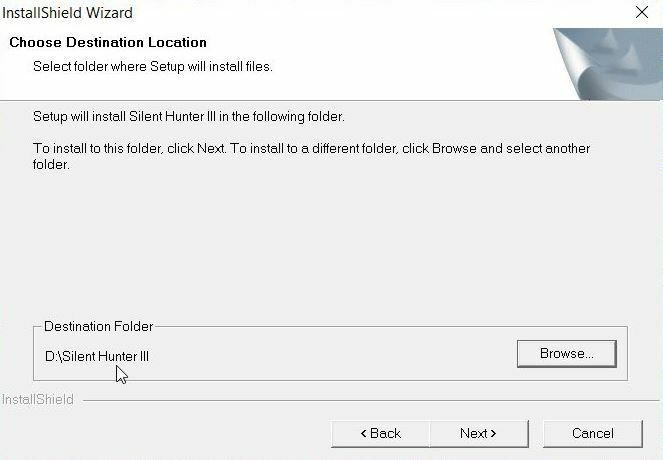 If your original installation is C:\Program Files (x86)\Ubisoft\SilentHunterIII and you have another game in the Ubisoft folder then only delete the SilentHunterIII folder. 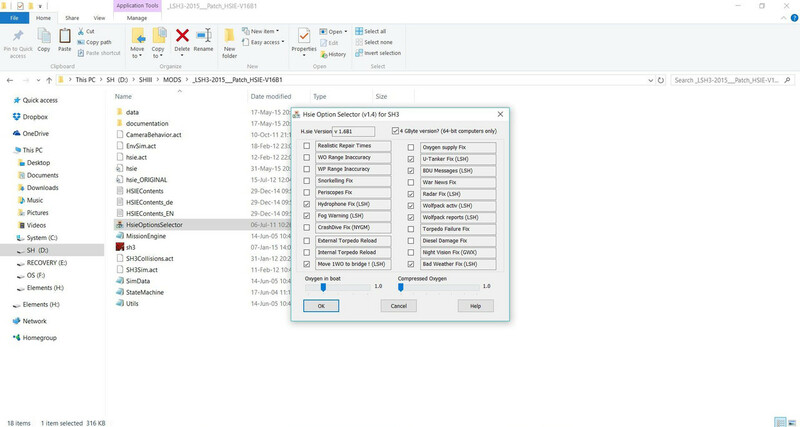 If not then delete the Ubisoft folder. 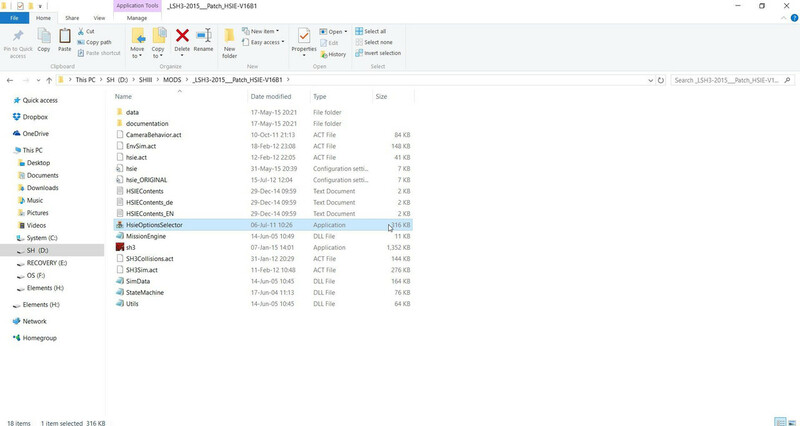 Go to the Documents folder C:\Documents and delete the SH3 folder if it is still showing as you are only going to have the 1 game LSH3. You now need to use a Registry Cleaner. When completed you need to re-boot your system. Go to the next Tutorial. Last edited by THEBERBSTER; 05-02-2018 at 04:34 PM. Picture 1 > Where to install. 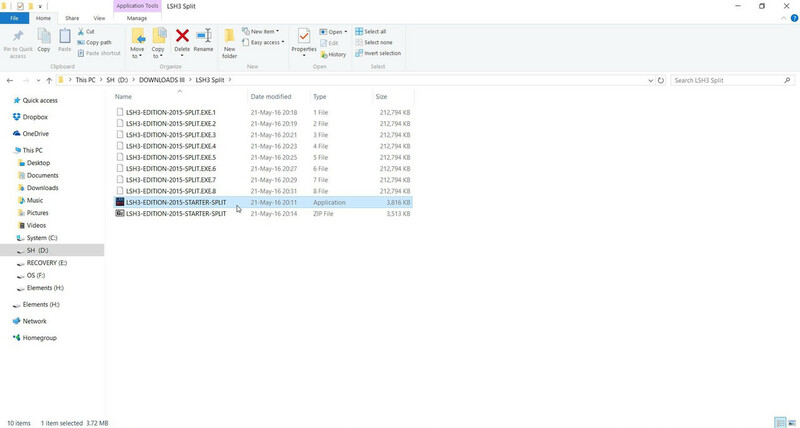 Make a new folder on the drive you are going to install the game. The name you use cannot contain spaces. Picture 2 > Shows installing from a dvd. 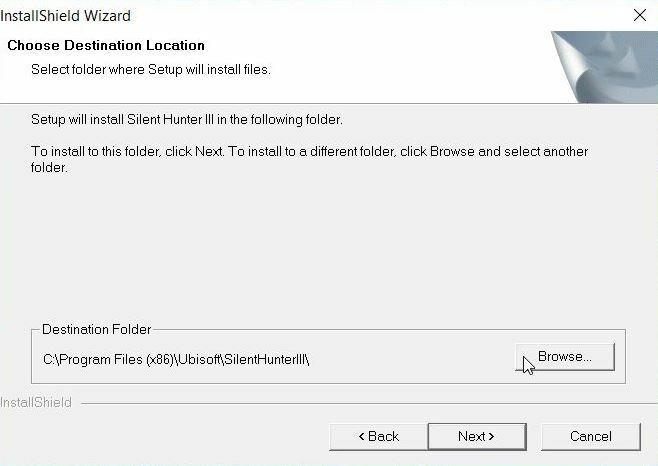 Picture 3 > Where Not To Install SH3. Do not install in the default > Program Files (x86) folder. 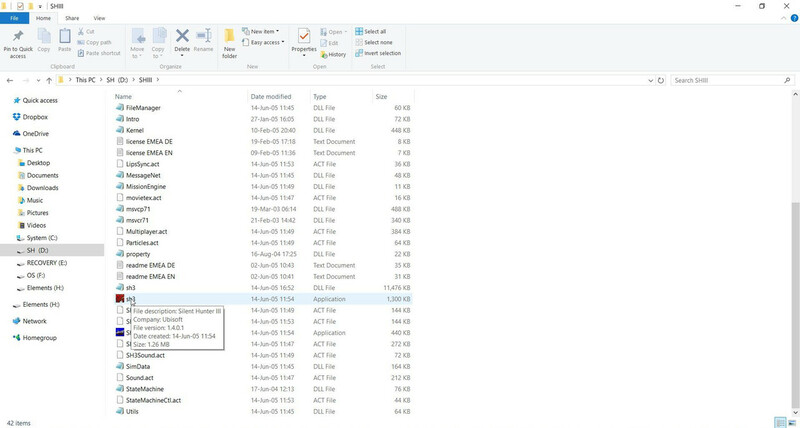 Picture 4 > Locating your > New Game Folder. 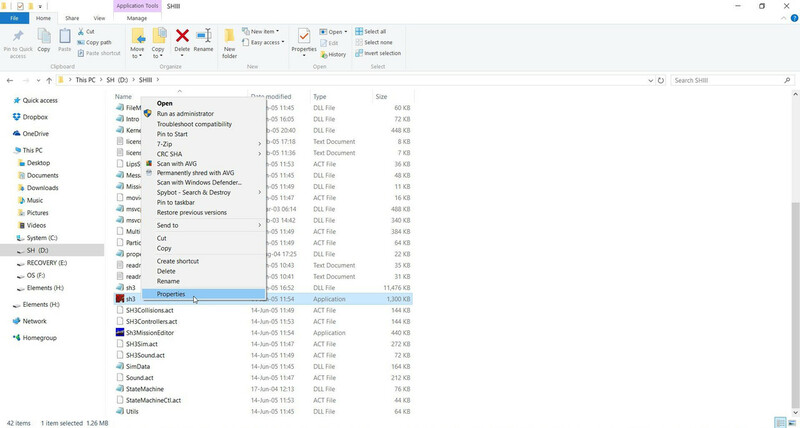 Use the Browse Button to locate your > New Game Folder > SHIII on the D: drive. Picture 5 > This should show D:\SHIII as the installation path. This picture has been taken from a different game installation. 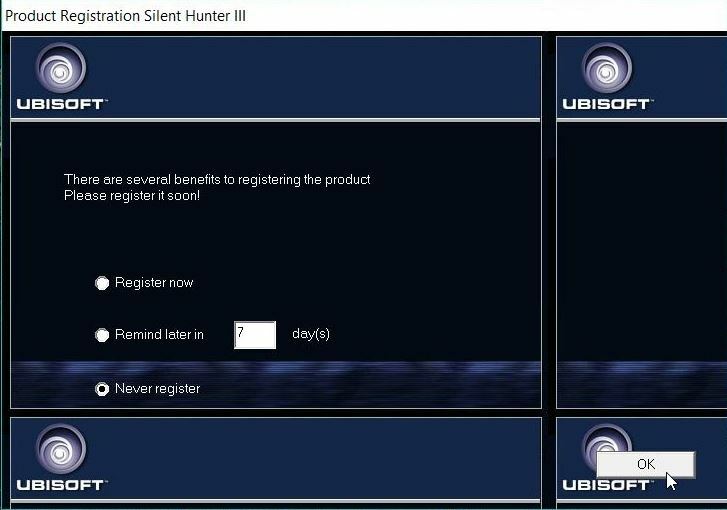 Picture 6 > You do not need to register your game. Picture 7 > Click finish to complete the installation. Picture 9 > Right click with the mouse on the > SH3.exe and > Select Properties. Picture 10 > How to Run As Administrator. Tick the box > Run this game as an Administrator. Picture 11 > How to change the Compatibility Mode. OS8.1 only if needed try OS7. OS7 only if needed XP. You will know if a compatibility mode is needed if your game crashes at any time during the loading process. 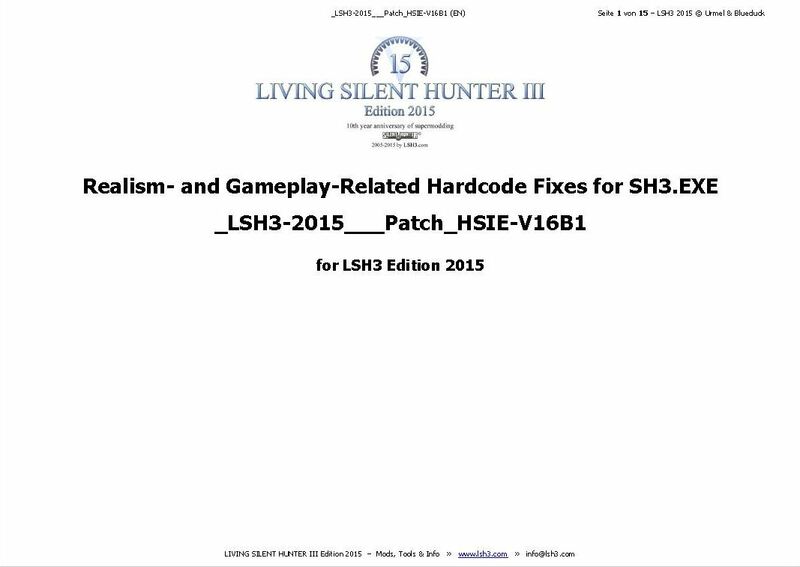 For the benefit of all the Tutorials LSH3-2015 will be known as > LSH3. Picture 1 > lish3.com language menu. 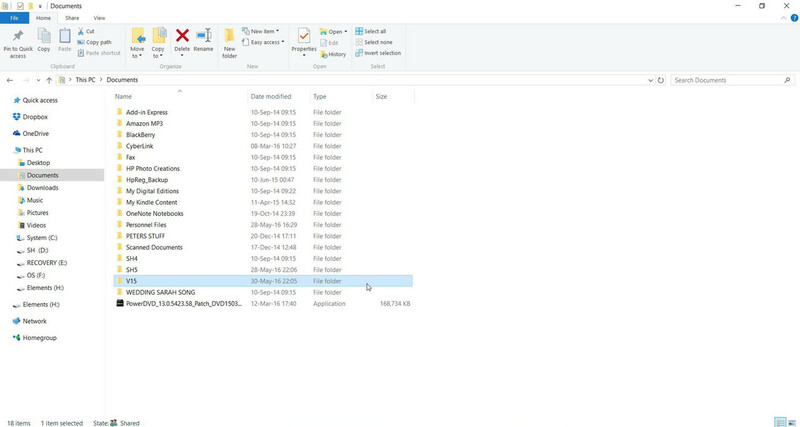 Picture 2 > This shows the split downloads containing 9 files. 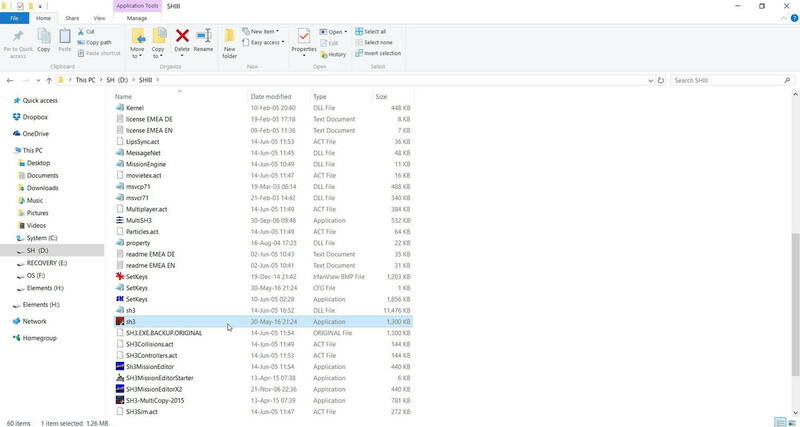 Picture 3 > This shows the large file download containing 1 file. Picture 4 > Pre download preparation > (Multi file). 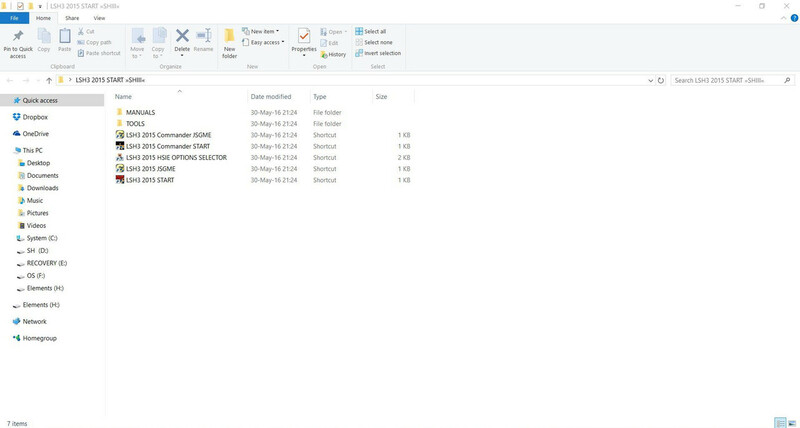 Make a new folder for the download. For the tutorial I have called it > LSH3 Split. 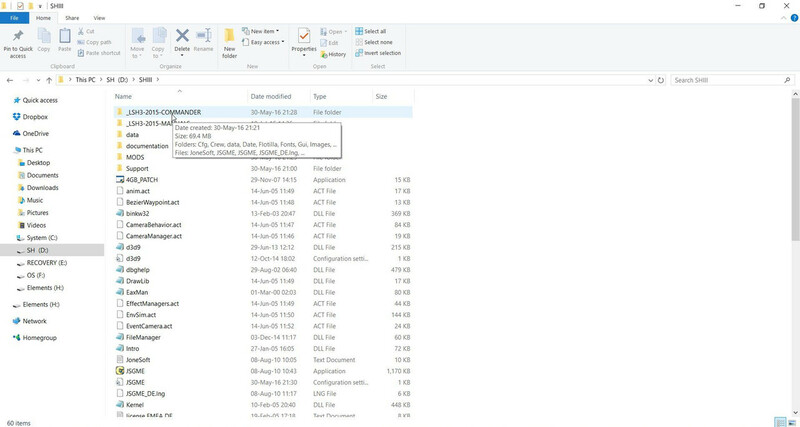 Right click on each file and select > Properties. Picture 5 > Pre download preparation > (Single file). Picture 6 > LSH3 Start Full Applications > Short cuts. This is the Short Cuts for the > Single file. I do not recommend using these short cuts. 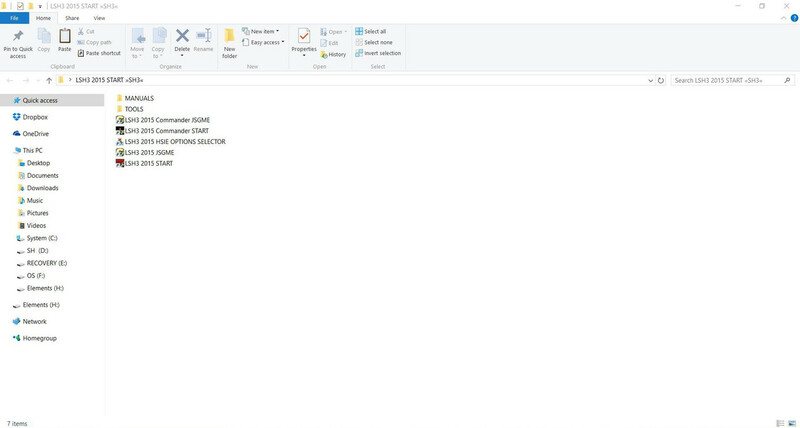 Always go to the > Main Game Folder. Now go to the next Tutorial. 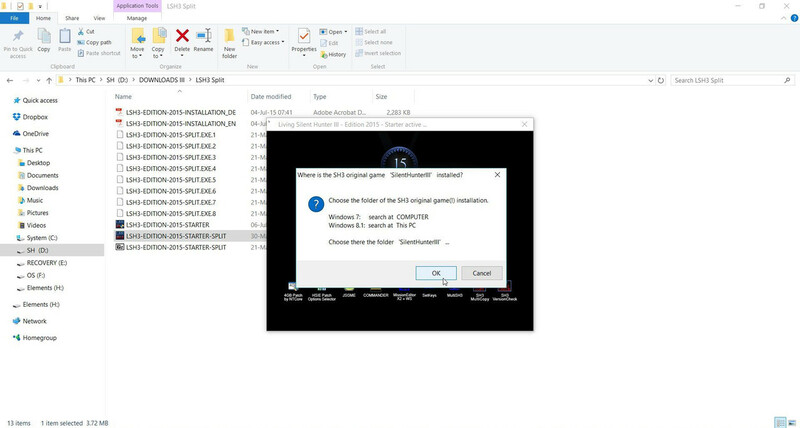 This Tutorial will show the installation for the > Split File version. Picture 2 > Select the language you speak/talk in. Picture 3 > Shows the requirements and installation time. 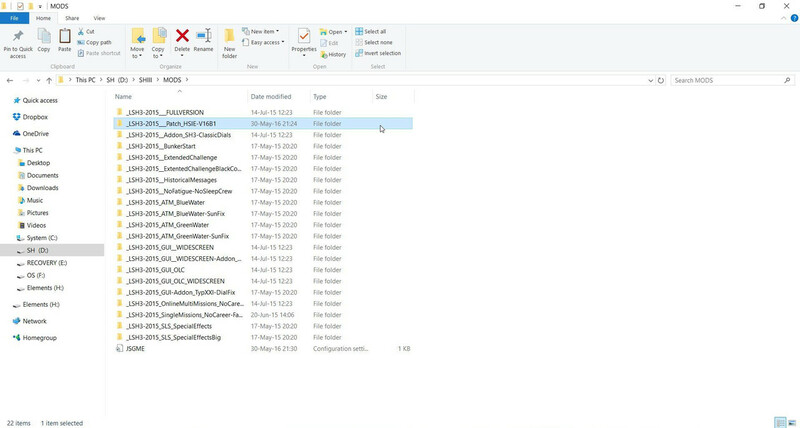 Picture 4 > Browse to find your game folder. 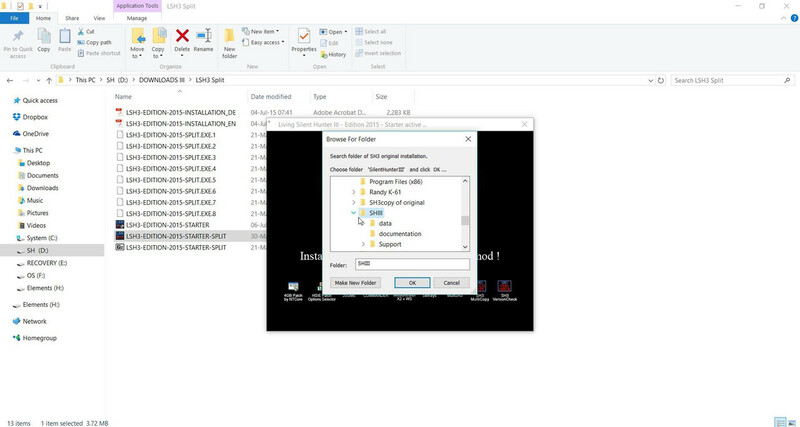 Picture 5 > Game installation the Tutorial folder > SHIII. 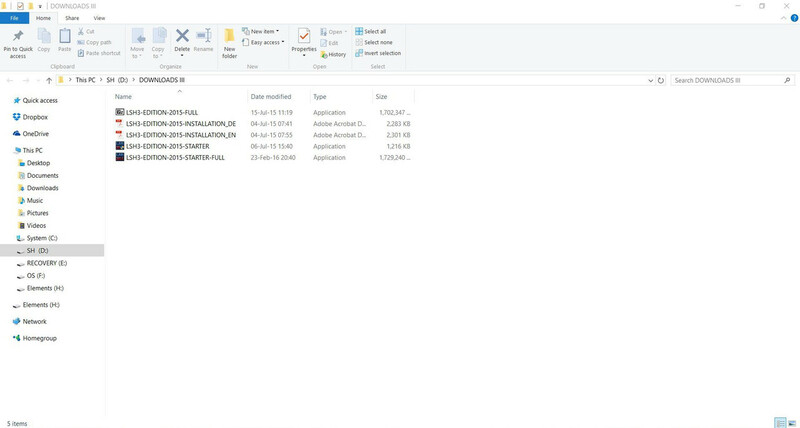 Picture 6 > Confirmation of the game folder > SHIII. Picture 7 > Merging the > Split files. Not applicable > Single file (Full). Picture 8 > Installation ready to install. Picture 9 > Confirmation of completed installation. Picture 10 > Optional second installation. 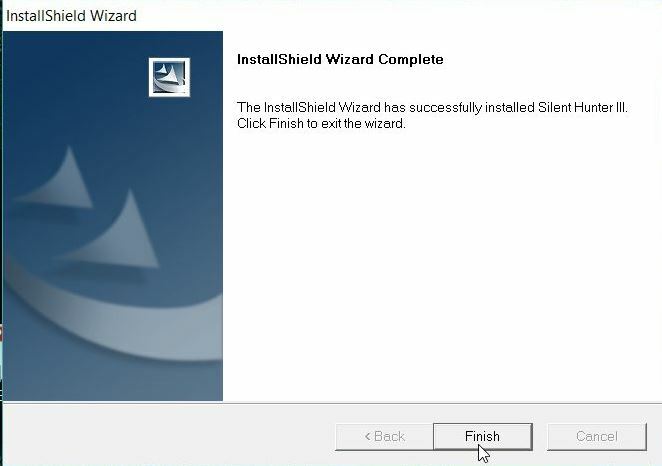 Click Play > to continue single installation. Picture 11 > Start JSGME and Activate mod. 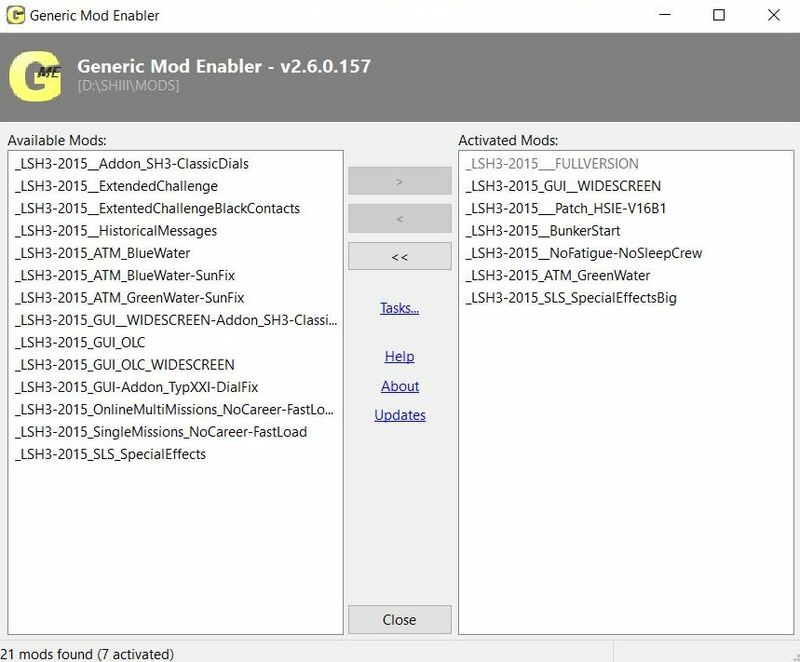 Picture 12 > JSGME is opened to show disabled mods. Picture 13. 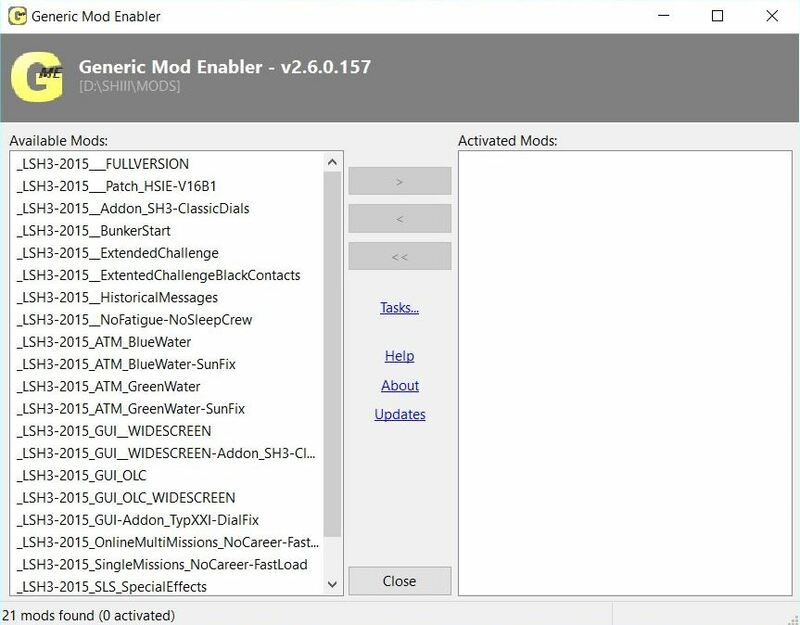 > Enable only these 2 mods. Click > Yes to override. Picture 14 > Close JSGME. Picture 15 > Split files > Short Cuts. I do not recommend using these short cuts to > Start The Game other than > Manuals > Tools. 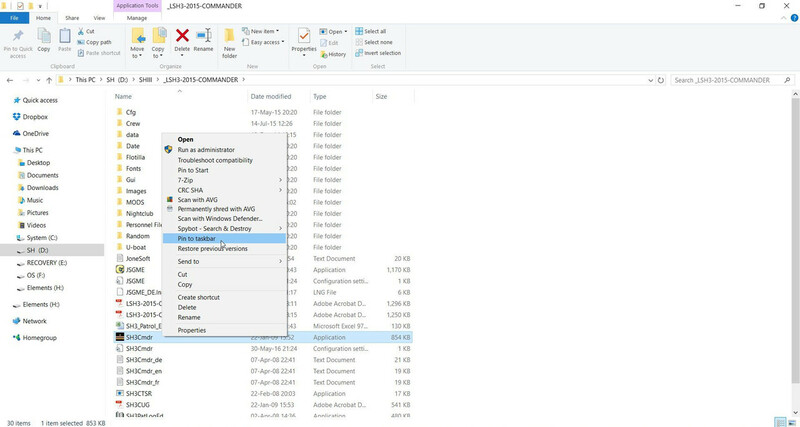 This Tutorial will show you how to run your > Application in an Administrator mode. 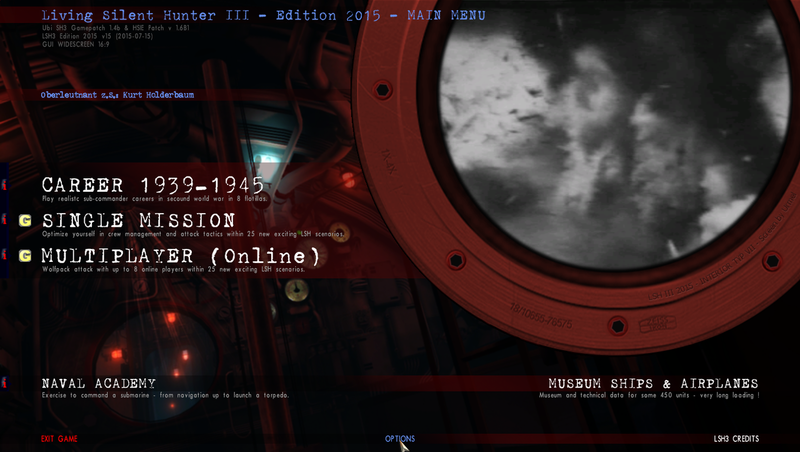 Picture 2 > Right click with your mouse on > SH3Cmdr Application. Picture 3 > Tick the box > Run this program as an Administrator. 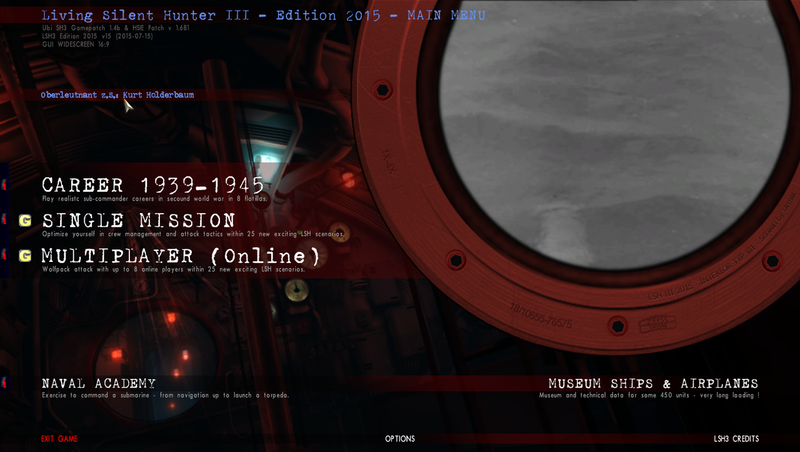 Picture 4 > Right click with your mouse on the > SH3Cmdr Application. Select > Pin to Taskbar. 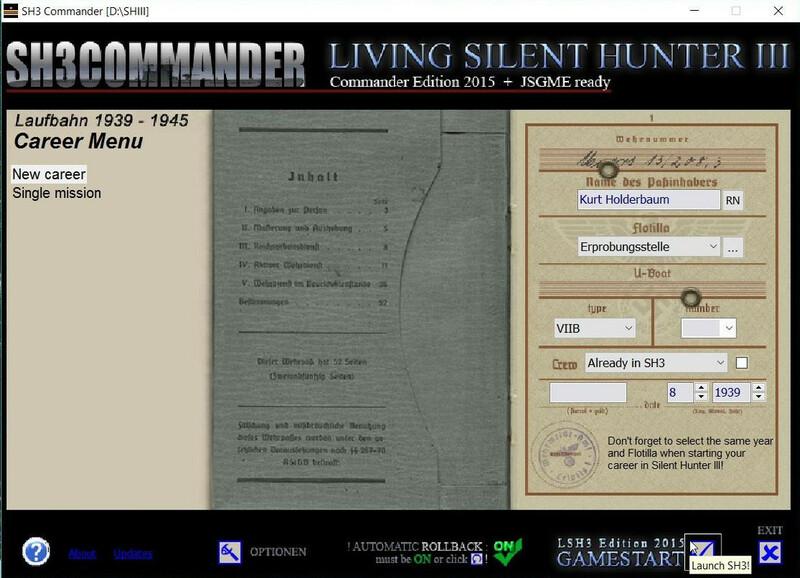 LSH3-2015 can be started from here unless you have loading problems. Picture 5 > Right click with your mouse on the > JSGME Application. Picture 6 > Tick the box > Run this program as an Administrator. 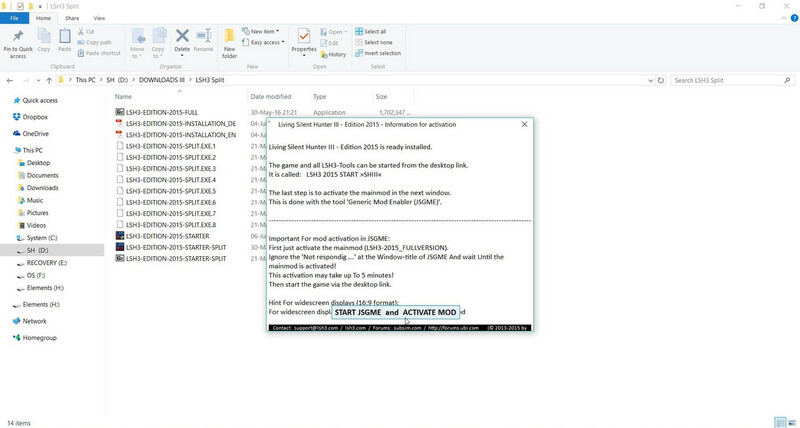 Reminder from Tutorial Post #3 to run your SH3.exe as an administrator if you have not already done so. 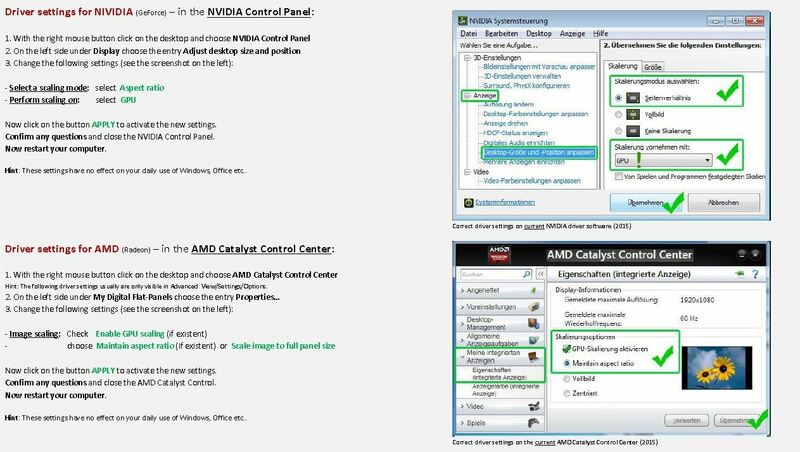 Changing Nvidia and AMD Radeon GPU Settings. 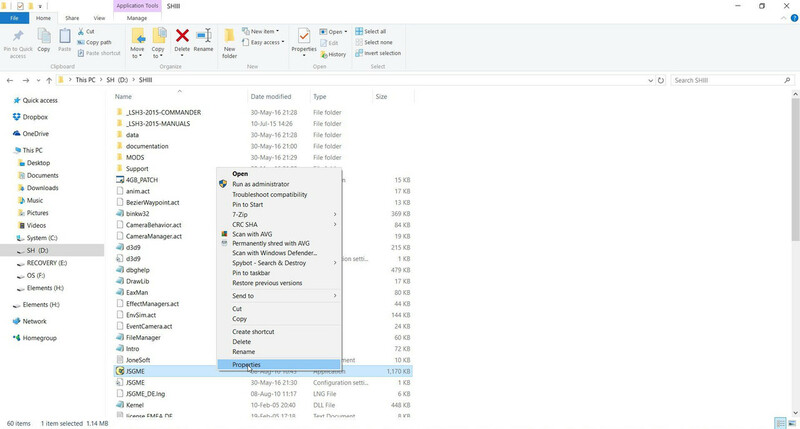 Check that your GPU is using the latest drivers!! Important Note regarding latest drivers. 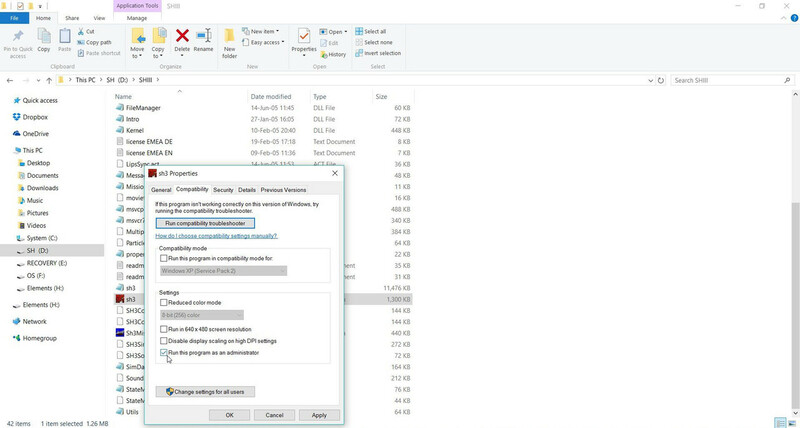 If you are running Windows 10 Creator version 1703 and after a Windows update now have a black screen when start your game you will need to roll back to an earlier driver version. See my tutorial how to do this. 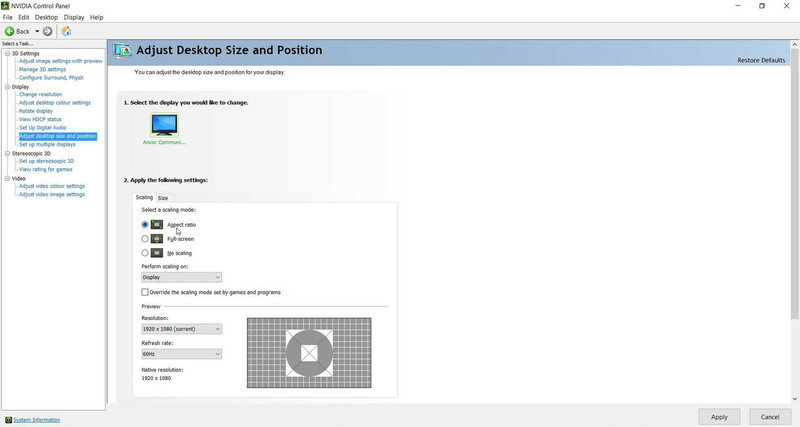 Picture 1 > Adjust the > Desktop Size and Position. Change the GPU Scaling Mode to > Aspect Ratio. Go to the > Control Panel to do this. Picture 2 > Adjust the > Desktop Size and Position. Apply and Save to complete the process. 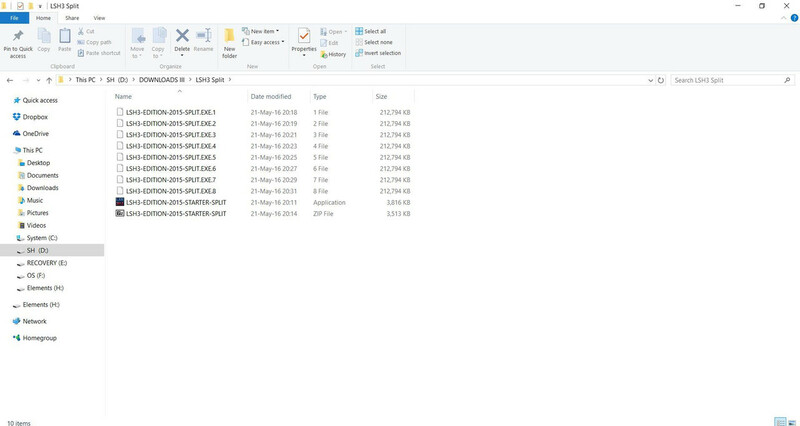 A number of Manuals can be found from the > Short Cuts or from the > Main Game Folder (Tutorial SHIII). There is a large Manual from the previous version that has some interesting pages and is worth investigating if you have the time. These are the 3 important ones. Picture 1 > LHS3 Installation instructions. You will find installation instruction here and pictures of errors and how to overcome them. 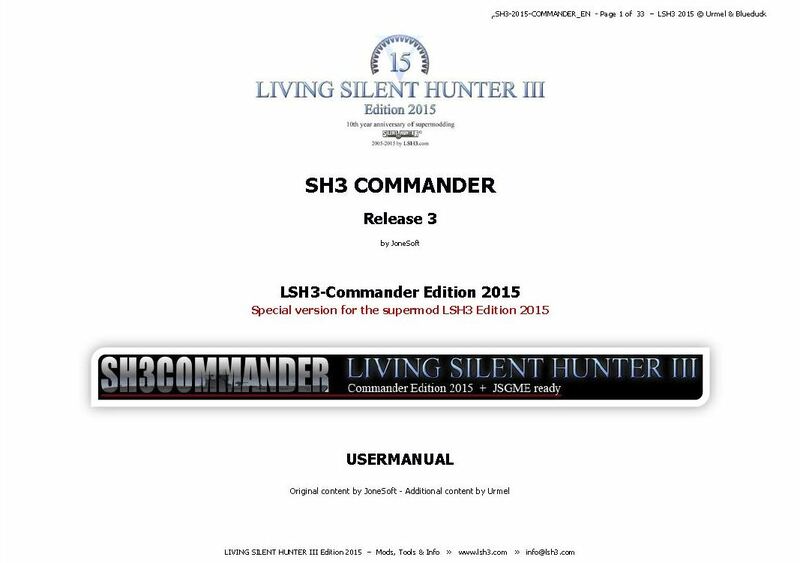 Picture 2 > Manual > SH3Commander-Edition-2015. This is a special version for LSH3. 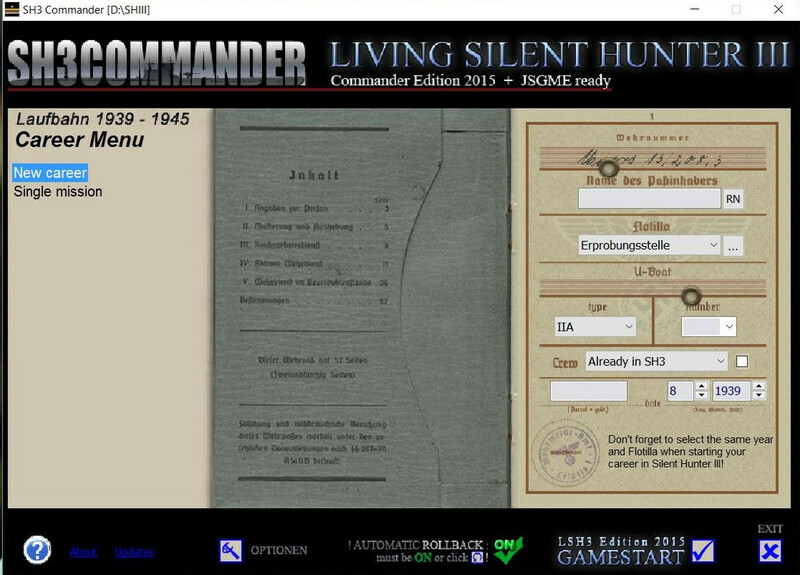 This is a comprehensive manual that gives all the information that you will find in SH3Commander plus information on additional mods. Picture 3 > Manual > HSIE V16B. This is a comprehensive manual that tells you everything you need to know about each HSIE patch. 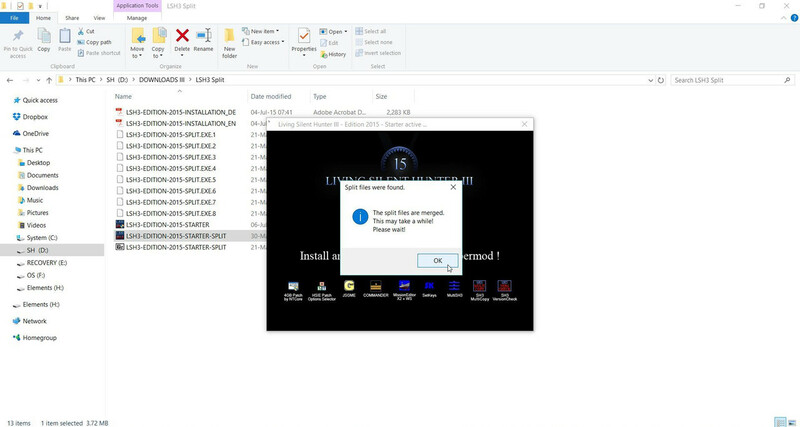 The Naval Academy provides essential data to LSH3 as it installs and sets up the V15 Saved Games folder. Picture 2 > LSH3 loads to the Main Menu. Picture 3 > You can use Options to make changes to your style of game play. Picture 4 > Shows the default Options. 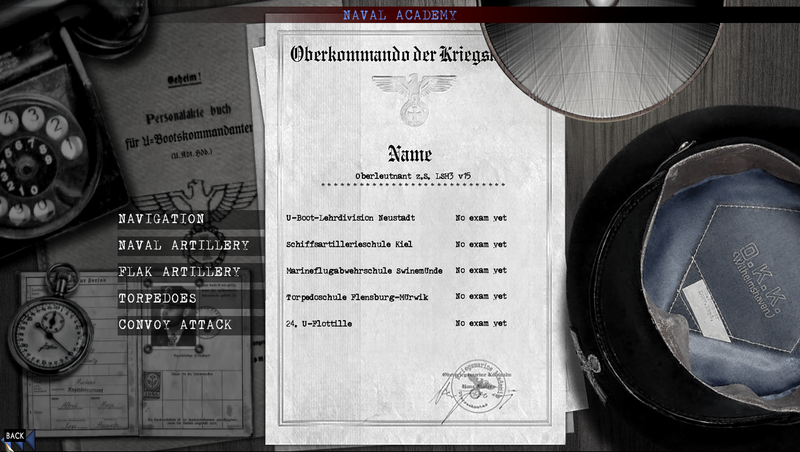 Picture 5 > Shows you the > German Crew Language has been changed from the default English. Picture 6 > Click on > Apply Changes to save the settings. Picture 7 > Confirm the changes > Yes. Picture 8 > Select the > Naval Academy. Picture 10 > Click on > Start. If you would like to get used to the game play then you can continue. Taking an exam will earn you additional > 1000 Renown. Total Renown will be 2000. Picture 11 > Quit the Tutorial. You will get the prompt to > Abandon Mission. Picture 12 > Click on > Return to Base. Picture 13 > Click on > Back. You do not need to take any exams unless you want to. Picture 14 > Click on > Back. Picture 15 > Click on > Exit Game. 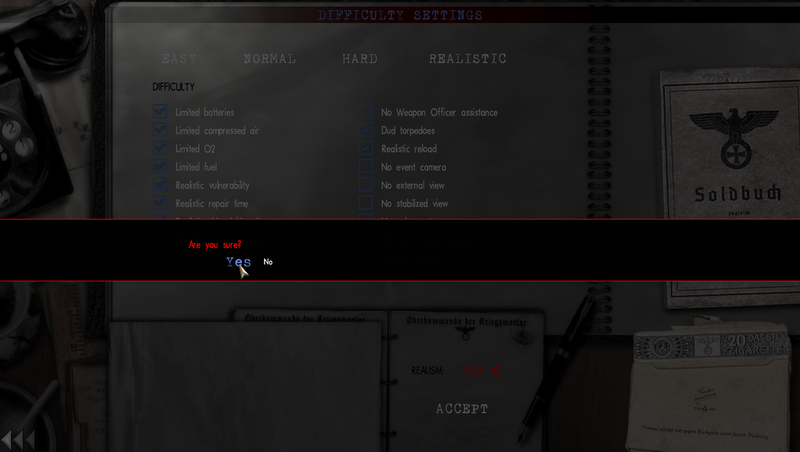 Picture 16 > Confirm that you want to > Quit Game > Yes. Picture 17 > Documents folder > Before Naval Academy. Picture 18 > Documents folder > After Naval Academy. Completing an exam in the Naval Academy will increase your renown from 1000 to 2000 points. Adding Mods And Making Changes to the HSIE. Making changes to the HSIE (Optional) > Pictures 1 to 5. Adding Some Mods In JSGME > Picture 6. If you wish to make changes to the > HSIE then must be done with the mod/patch disabled. 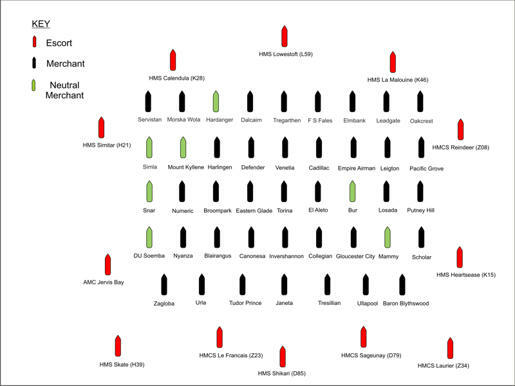 To understand what each mod does look in the HSIE manual. All these patches increase the difficulty levels to your game. 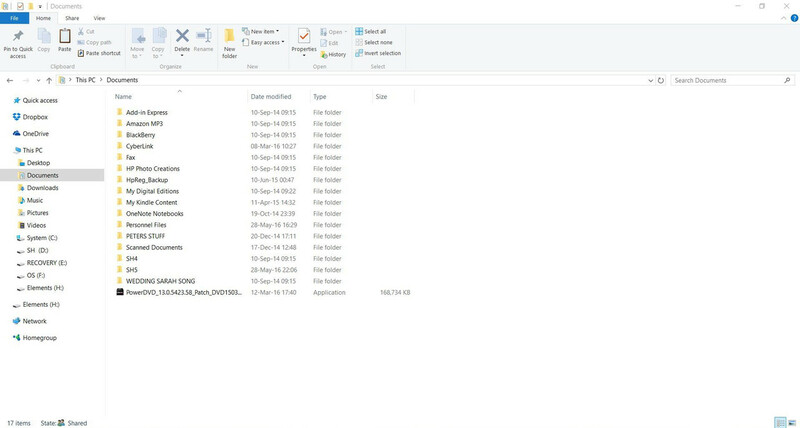 Picture 1 > Go to the > Mods folder. Picture 2 > Open the > HSIE. Picture 3 > Open the > HSIEOptionsSelector. 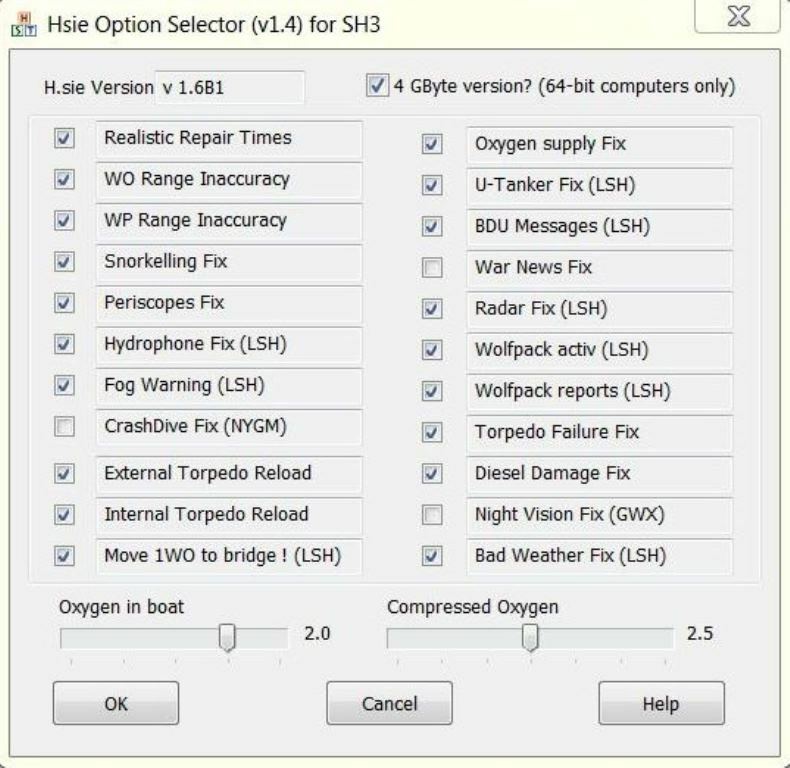 Picture 4 > You will see the default > LSH3 Settings and the > 4Gbyte setting enabled. Picture 5 > Tick the boxes for the patches you want to enable. 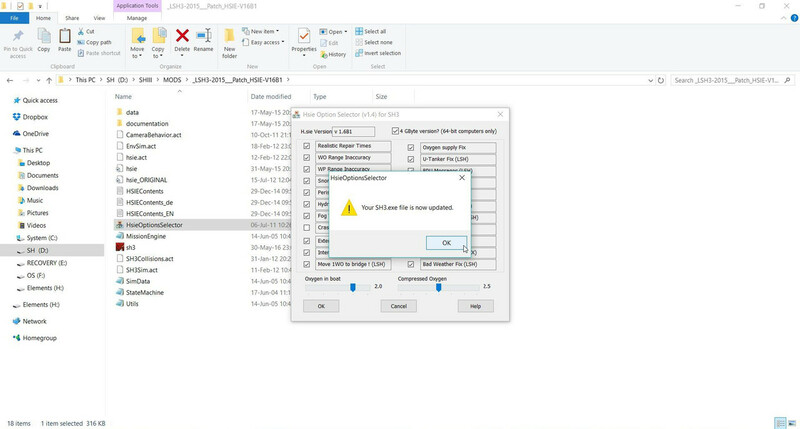 Clicking > OK in the > HSIE will show you that your changes have been added to the SH3.exe. Click > Ok to accept. 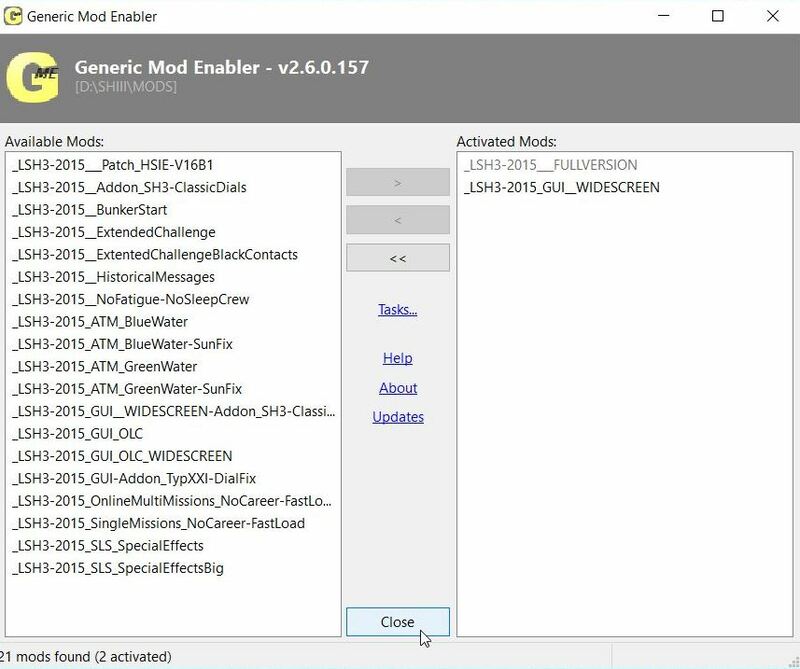 Picture 6 > Shows a working set of mods enabled. 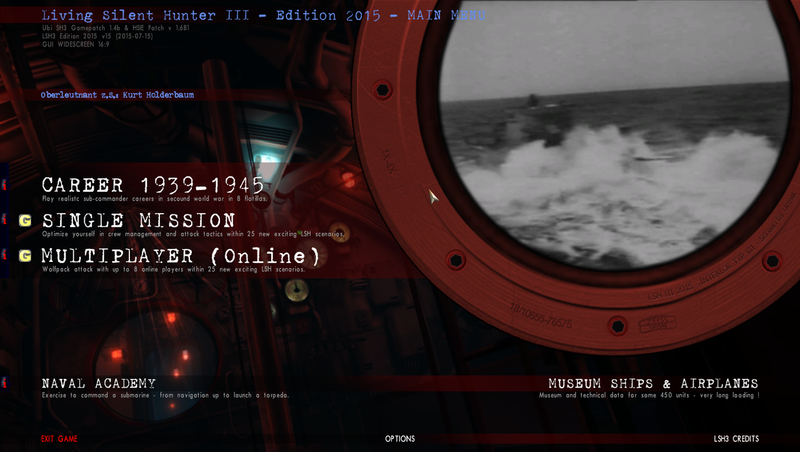 SH3Commander > Making Changes > New Career > Launching LSH3. 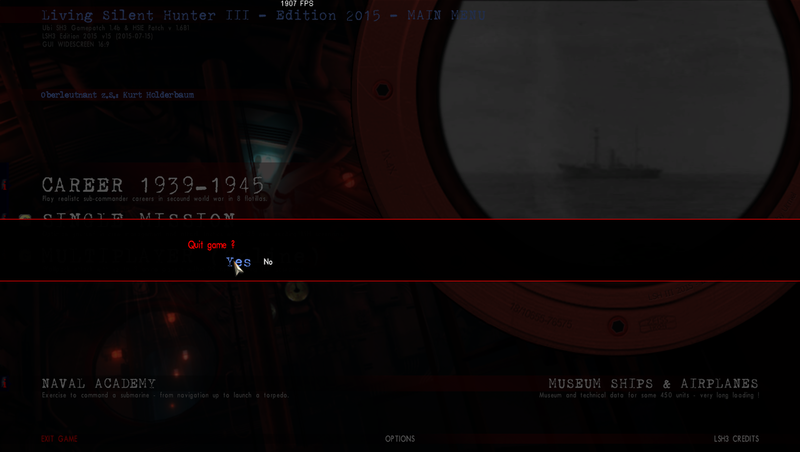 Picture 1 > Start your game from SH3Commander from the > Main Game folder (Tutorial SHIII) or from the > Taskbar. Picture 2 > Shows the Main Menu. 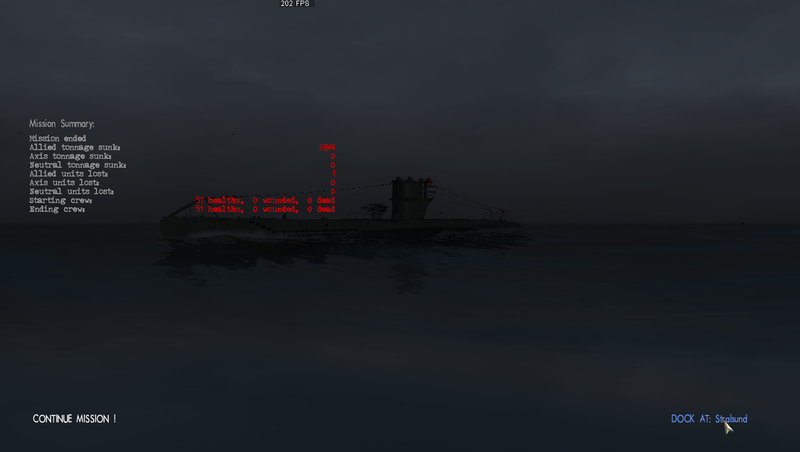 The default U-Boat is the > Type IIA. 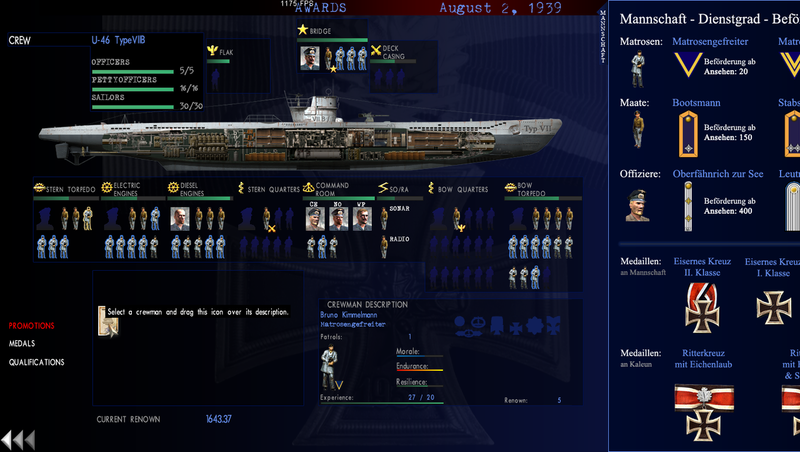 Picture 3 > Shows the 2 types of U-boats available from the > Drop down box. Click on > Optionen to open the > Options Menu. 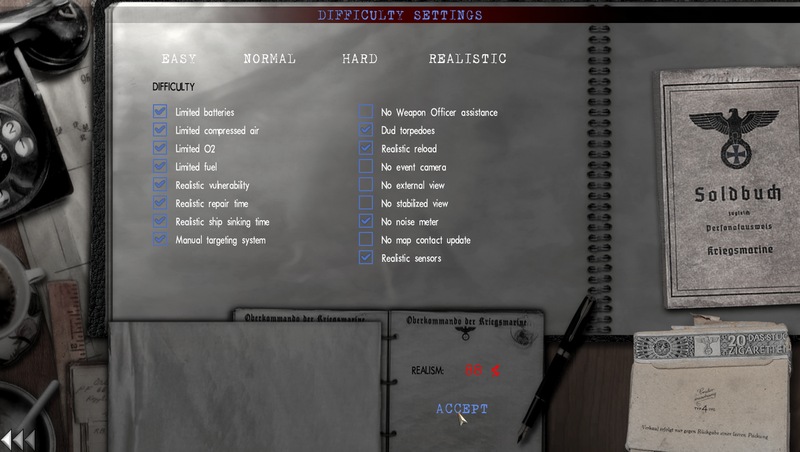 Picture 4 > Shows the > General Settings screen. Picture 5 > Shows the > Career Options screen. Changes can be made now by > Ticking the box/es. 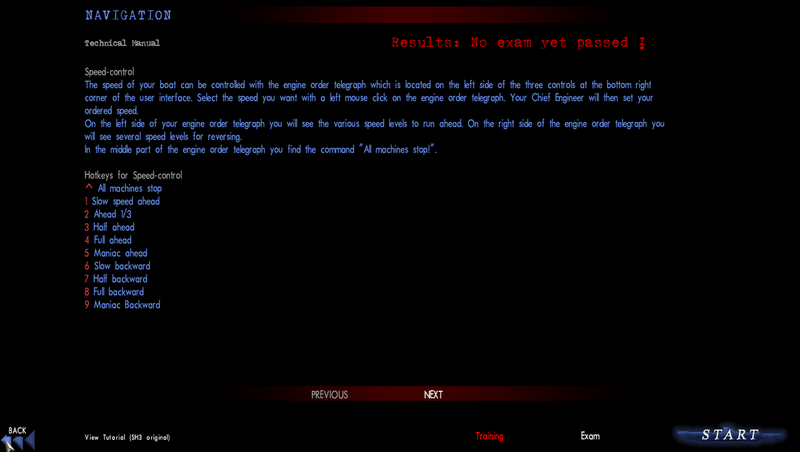 Simulate a Realistic Career Length > Optional on Test Missions. Simulate Realistic Crew Transfers > Optional on Test Missions. Picture 6 > Shows the > Career Options I am going to play with. Picture 7 > Game Play Settings. Picture 8 > Game Play Settings > Model Effects. 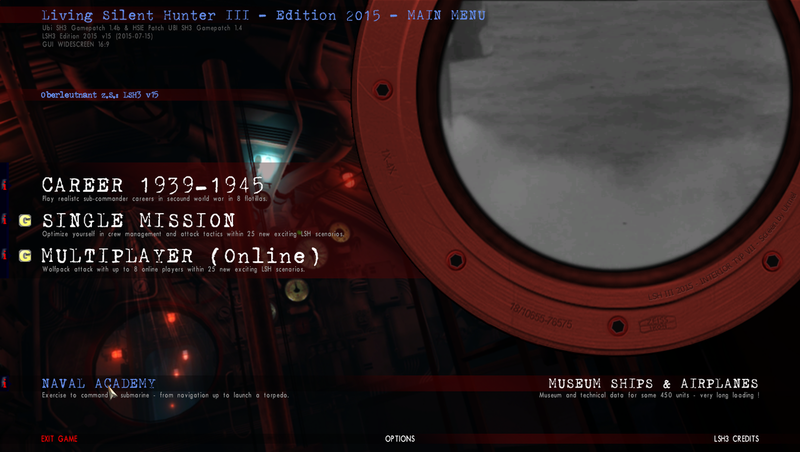 Picture 9 > Back to the Main Menu of > SH3Commander. You have the option here to either > Name your own Captain. Click on > RN and Commander will > Randomize a Captain for you. Press > RN again if the name is not to your liking. Picture 10 > I have Randomized the Captain > Kurt Holderbaum for my game. 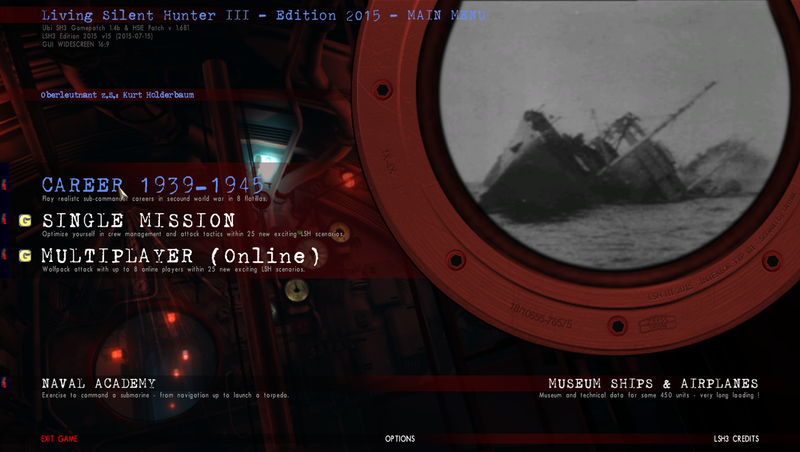 I have used the U-boat > drop down box and selected a > VIIB. 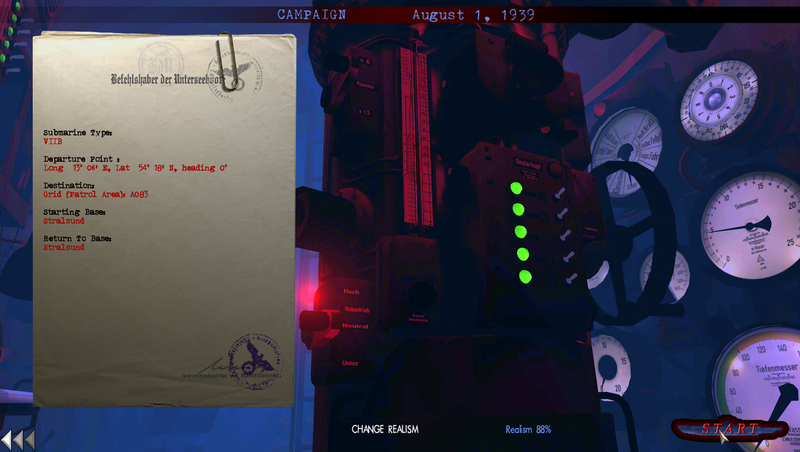 Notice that you are going to start your > Test Mission in > August before the outbreak of WWII. 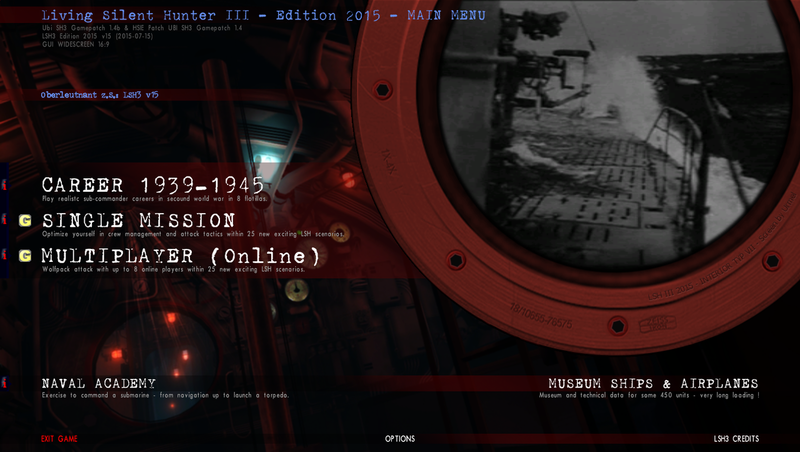 Launching The Game From SH3Commander. Picture 1 > This picture is just a reminder that > LSH3 must always be started from SH3Commander. The Captain is on board and all ready to meet the crew. 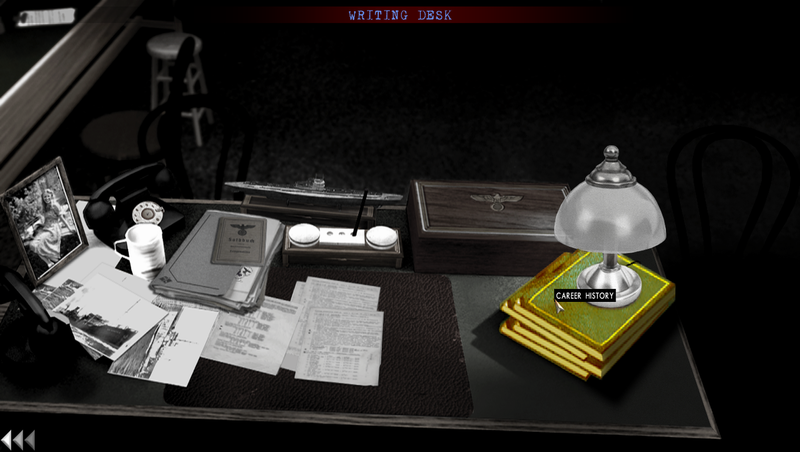 Picture 2 > The game will load to the > Main Menu. Picture 3 > Options is still available if you are not happy with your previous settings. Picture 4 > Shows Kurt Holderbaum is ready for active service. Picture 5 > Click on > Career 1939 – 1945. Picture 6 > Click on > Save / Start. Picture 7 > Click on > New Career. Picture 8 > This screen confirms the testing flotilla > Eprobungstelle and your > Testing Base is Stralsund. Picture 9 > Press > Start to continue. 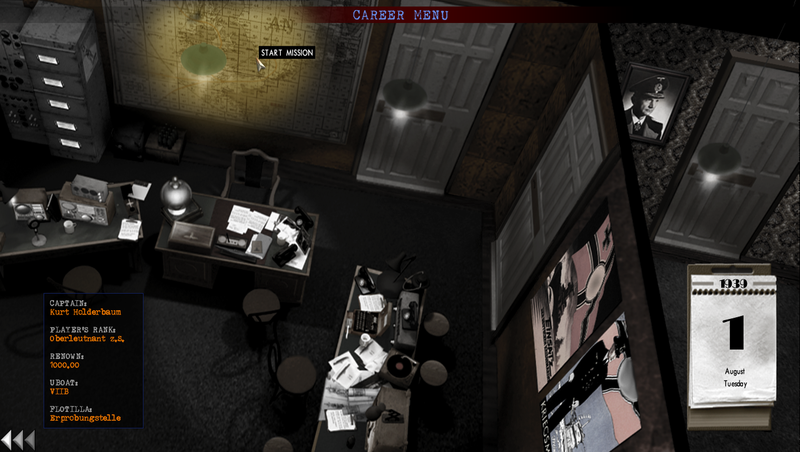 Picture 10 > The Office > Career Menu. It is important to remember that with all testing missions which happen after a transferring no changes should in > The Office should be made. Click on the > Map to load the > Mission. Picture 11 > You will see your orders here and your U-Boat base and the base you should return to unless you receive radio orders telling you otherwise. The default > Realism Game Play Setting of 38% is showing. Picture 12 > I have set my > Realism Game Play Setting to 88% for this mission. Click on > Accept to keep the changes. Picture 13 > Confirm with > Yes if you are still sure and have not changed your mind. Picture 14 > The Mission Starting Date for this first test mission and the next mission will be sometime before the outbreak of WWII. Picture 15 > Press > Start to begin the game loading screen. Please note, that the time to load will depend on your > Systems capabilities. The average time is 3 to 6 minutes. The > Loading Bar will appear to freeze when it gets close to the end, this is quite normal, so just be patient. 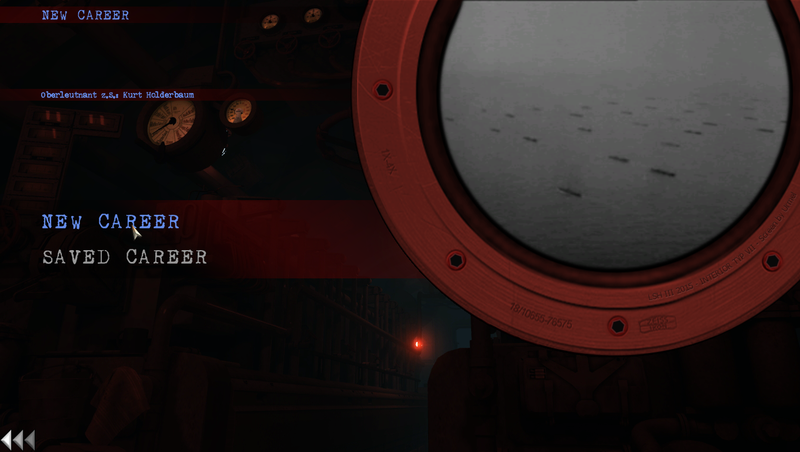 The Loading Bar is is also the most likely place that you will get a CTD. If this happens repeat the loading tutorial again. If you used the > Taskbar previously then this time go to the > Main Game folder and > Start SH3Commanderfrom from there. 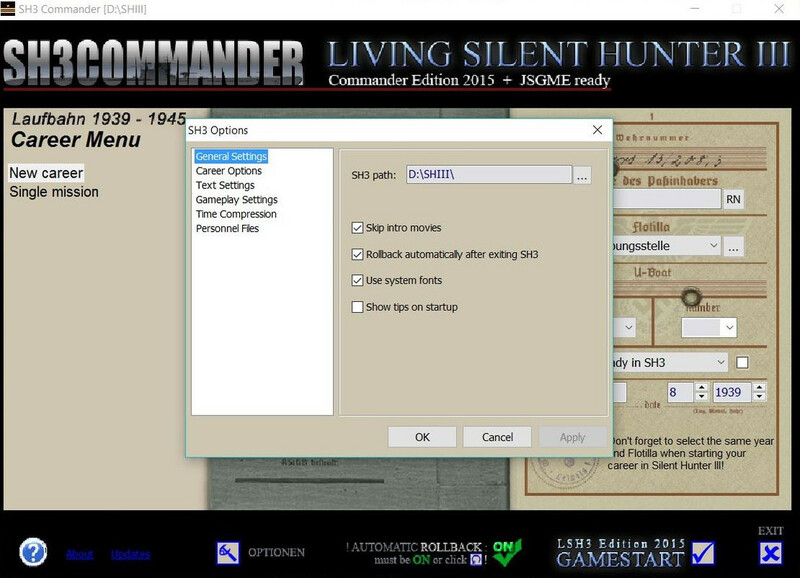 If you get a further > CTD then you need to look at using or changing the > SH3.exe to a different > Compatibility Mode. Game Loaded > Raise The flag > Patrol Orders > Using your Weapons Officer > TDC . Picture 1 > The game always loads to the > Command Room. Picture 2 > F4 takes you to the > Bridge. At this point the > Flagstaff is without a Flag flying > Use Ctrl + F to remove the flag. WO: “Firing at will” will show in the > Message Box when you use CTRL + F11 to take a Picture. Picture 3 > Use Shift + F to place the Flag on the Flagstaff. 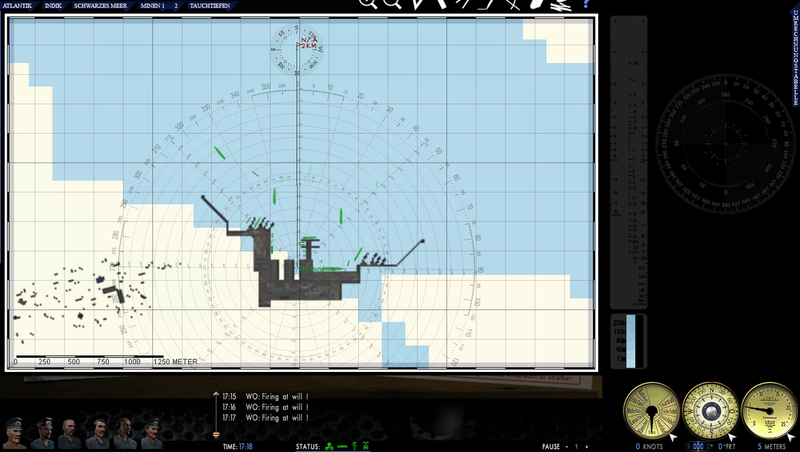 Picture 4 > F5 takes you to the > Navigation Map. 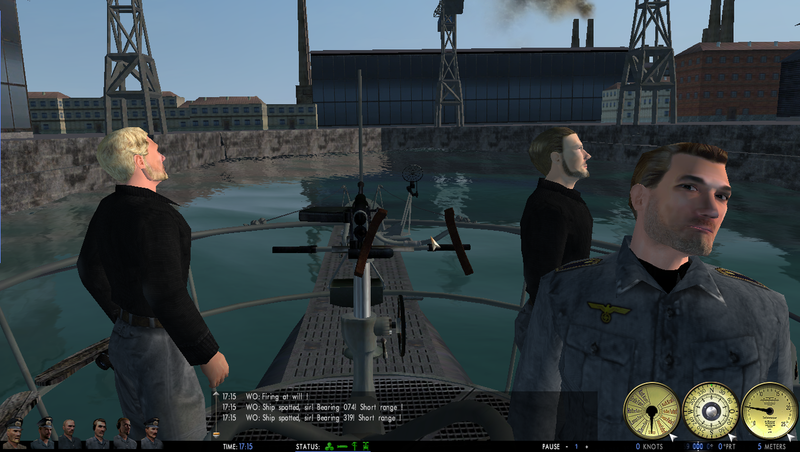 The Navigation Map shows the U-Boat’s position in Stralsund Dock. Note the > Blue ? this is the > Tool Helper. Picture 5 > With the Map expanded (Mouse Scroll Wheel) the first part of the course is plotted. 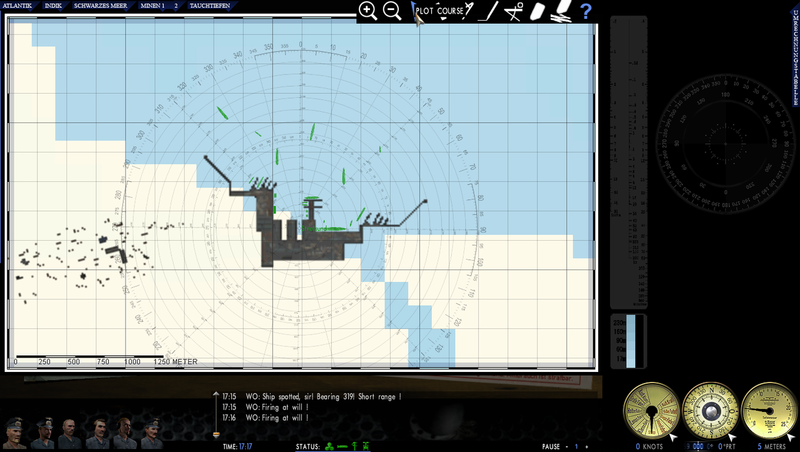 As soon as you release the mouse from the > Plotting Tool (Right Mouse Click) the > U-Boat’s telegraph will automatically go to > Ahead Standard. 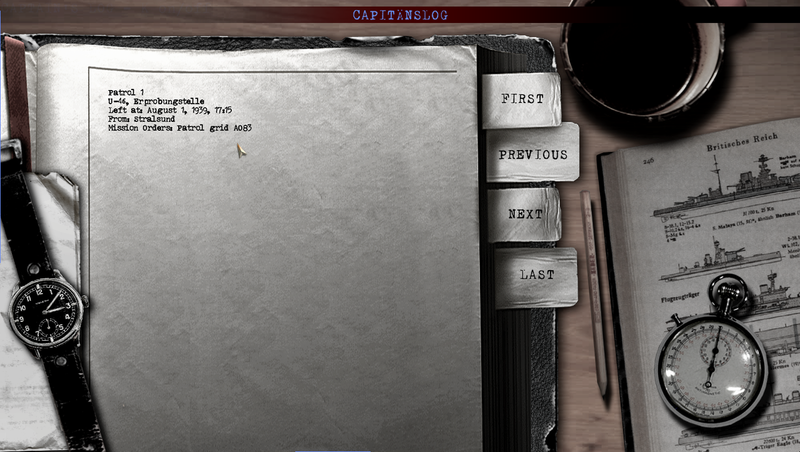 Picture 6 > Pressing the Short Cut K key shows the > Captains Log. Picture 7 > Pressing F7 shows you your > Crew. The Qualifications showing are the default ones. The Crew positions are default ones. 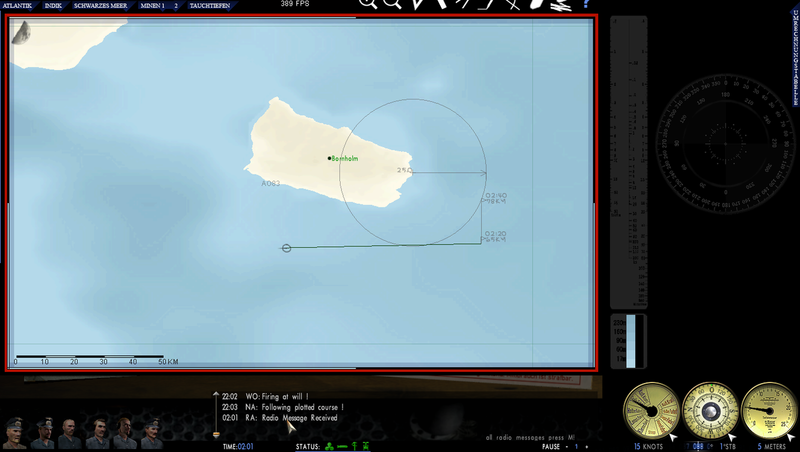 Crew Qualifications can be changed later by using > SH3Commander’s > Crew Management. 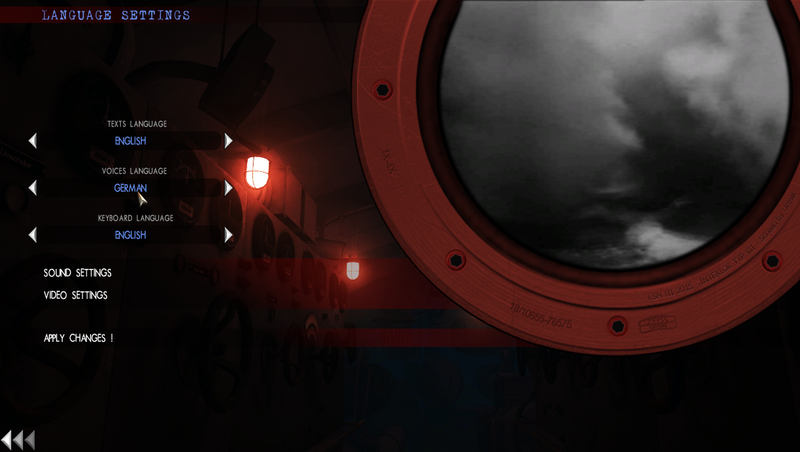 Picture 8 > Pressing the Short Cut I key will take you to the Torpedoes and Ammunition screen. Auto Loading is the default setting. Click on > Auto Loading to remove the > Green tick. Use > Manual Loading if you are carrying more than one type of torpedo. Picture 9 > Press the Short Cut M key to see > Radio Messages. This Radio Message contains your > Objective Orders. New messages are > Red. Old Messages are > Black. Picture 10 > Shows a Radio Message in the > Message Box was received at 02.01. 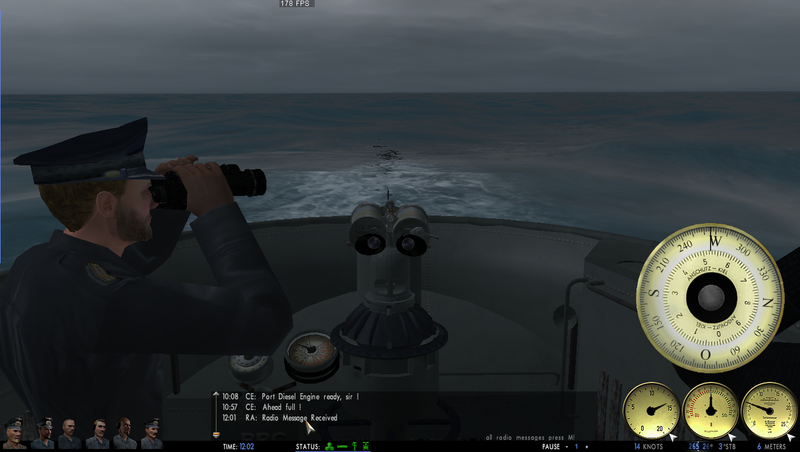 Plotting a course 25km off the coast to intercept the targets. Shift + U to place the > UZO on it’s pedestal. Ctrl + U to remove. To Lock the Target use the Short Cut L key. Target Locked > Button turns Green. 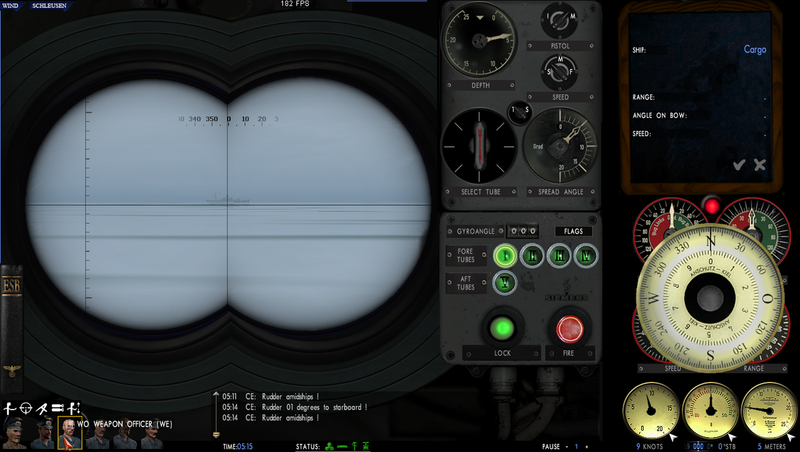 AOB will be > 90ᵒ Starboard. Speed as per orders > 9 knots. 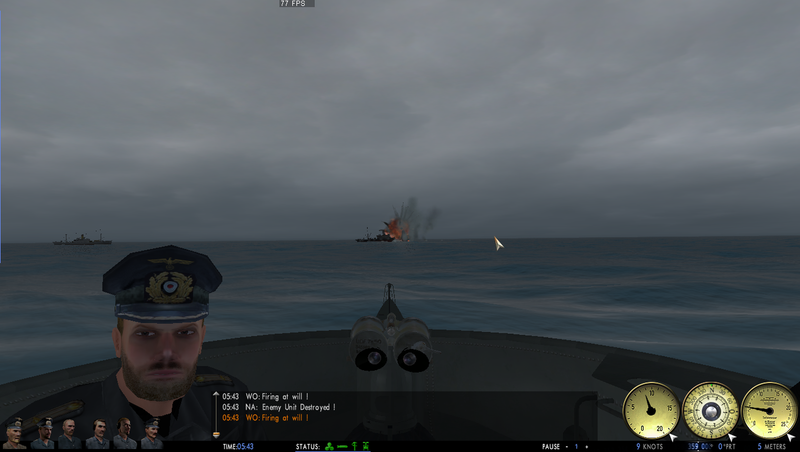 Icon 1 > Torpedo Attack. Picture 13 > Weapons Officer Icon (WE). 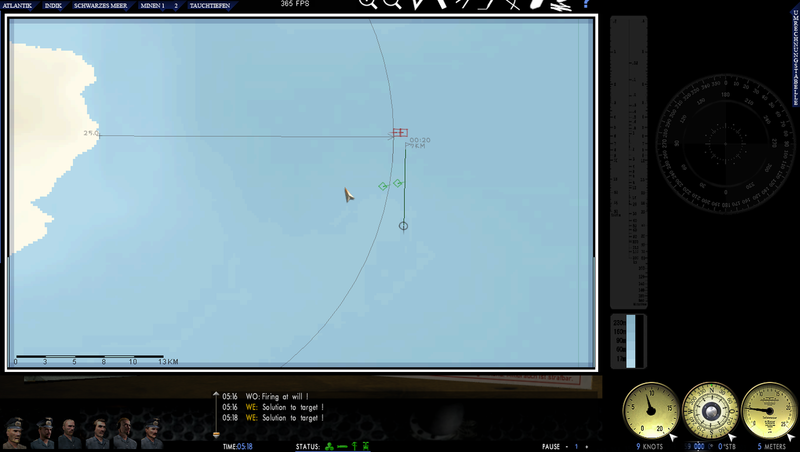 Icon 1 > Lower > Torpedo Attack. Icon 1 > Upper > When pressed will identify the Target. Picture 14 > Weapons Officer Icon (WE). Target identified in the > TDC as Frighter (Parcel). 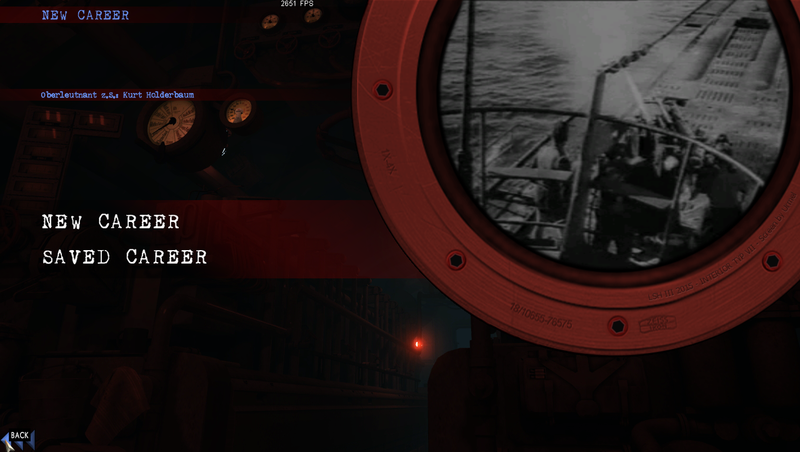 Icon 2 > Upper > Torpedo Solution. Picture 15 > U-Boat and Targets (Red) > Current positions. Press the > Arrow symbol on the Rudder to remove the > Large Compass. The Compass reverts to normal dial size. Picture 16 > Weapons Officer Icon (WE). 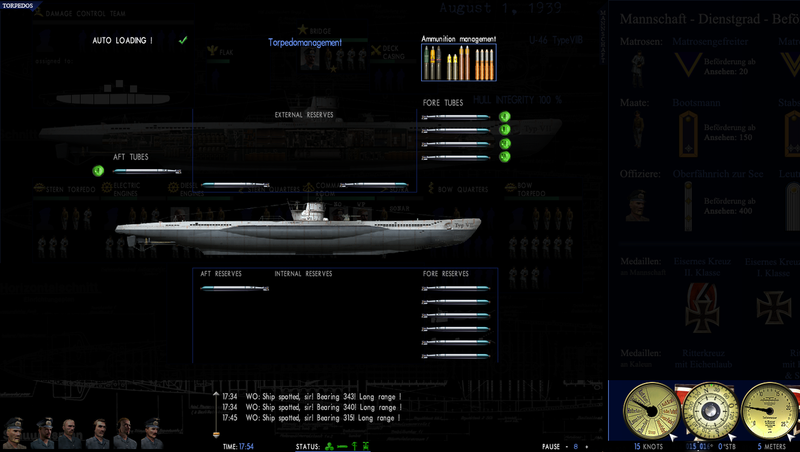 Torpedo Solution showing in the > TDC. Q key has been pressed to > Open Tube 1 Door. Torpedo has been fired by pressing the > Large Red Button. Lock Button has returned to > Black. 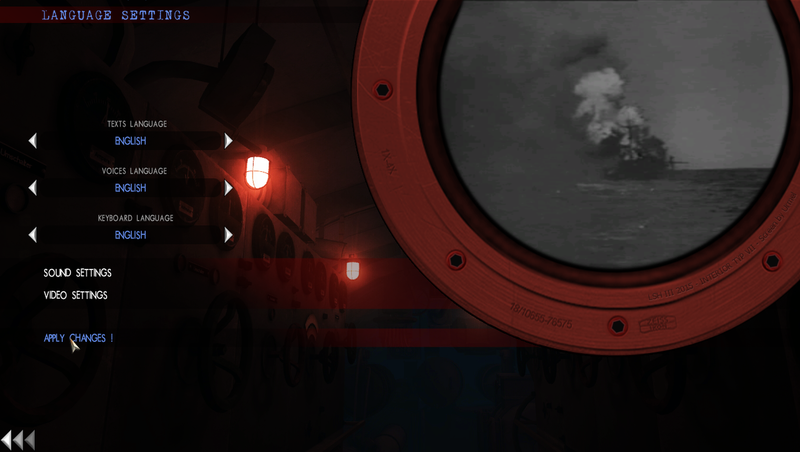 The > Event Camera shows the torpedo has been fired. 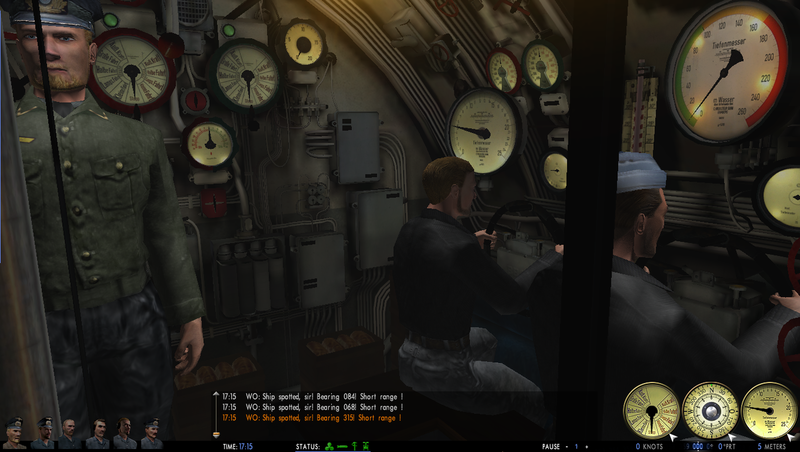 The Message Box shows the > Tube Door Torpedo 3 has been opened (Q key again). The W key will cycle through the Torpedoes. Moving from an > Opened Tube Door to a different Torpedo Tube will Close the previously Opened door. It is not possible to have more than 1 Tube Door opened at any one time. Picture 17 > F6 shows the > Attack Map. 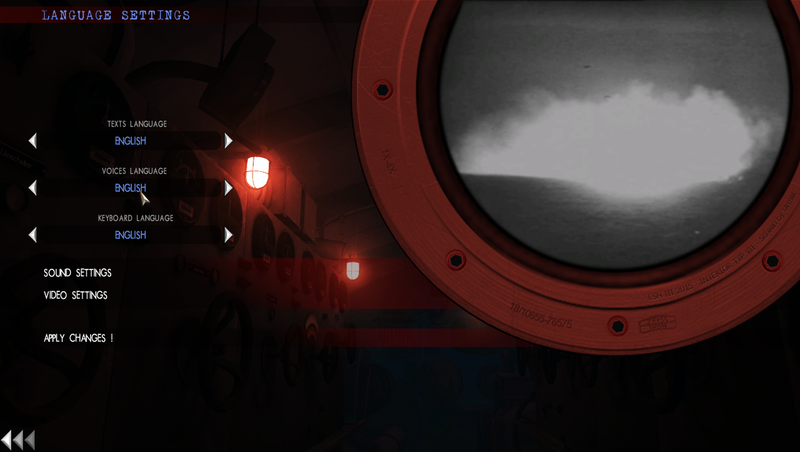 The Event Camera has come back on to show Torpedoes 1 and 3 closing on Target 1. 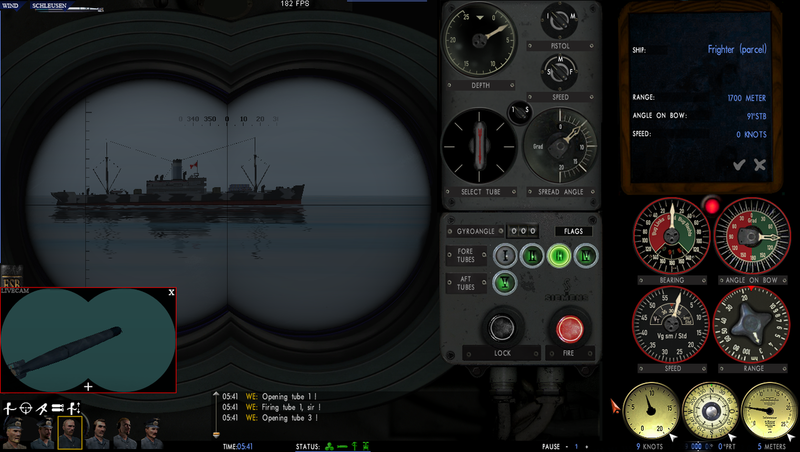 Torpedo 2 has been fired at > Target 2. Picture 18 > Torpedo 3 has hit the Bow section. 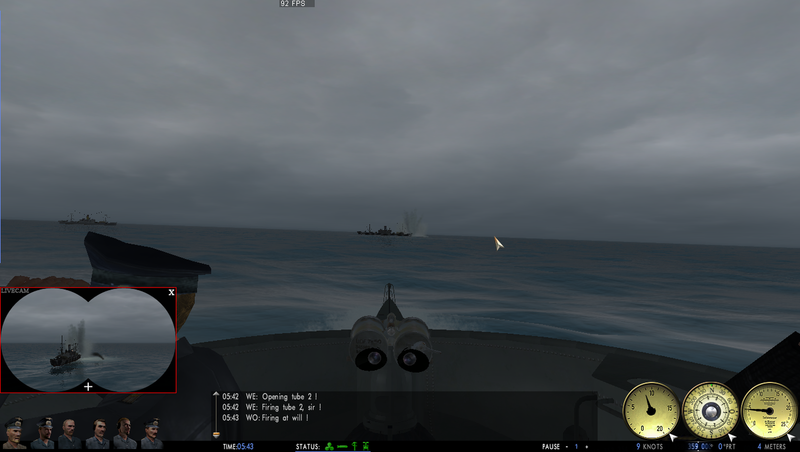 Torpedo 1 > Aimed Amidships was a deep runner and missed. 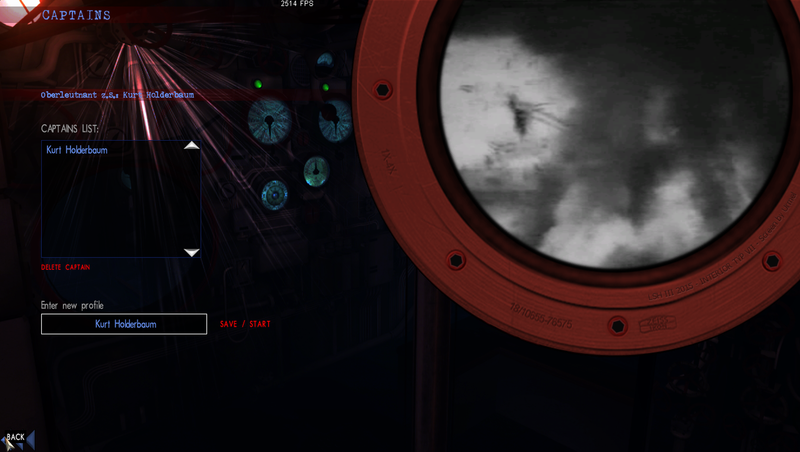 Notice that we are still approaching the Target 1 at > 9 knots. Picture 19 > The Message Box shows > Enemy Unit Destroyed. Picture 20 > Shows the > Recognition Manual. Press the > Left Arrow to open it when needed. 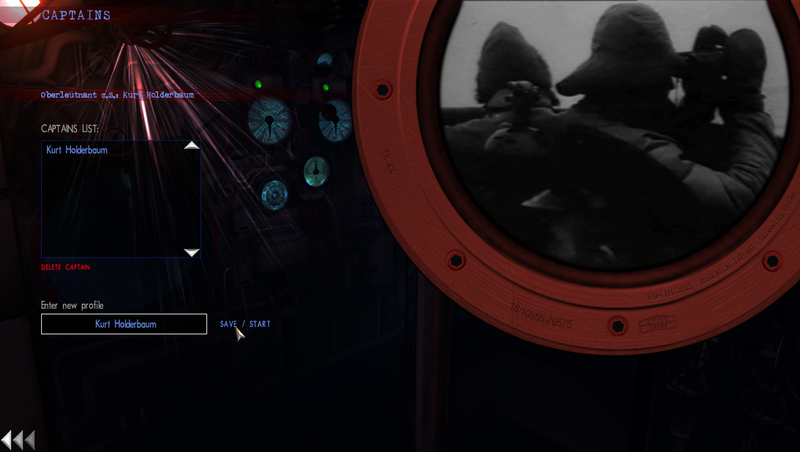 If you are using the > Weapons Officer Icon (WE) to do all the work you will still need to set manually the > Torpedo Depth in the TDC. Red Button above the > Large Compass > Allows you to enter Manual data to the TDC dials. This should be returned back to > Red after entering the data. Picture 21 > A new > Radio Message has arrived. Picture 22 > New Orders. Picture 23 > Returned to Base to Dock back in > Stralsund. Click on > DOCK AT Stralsund. There is nothing to say that any > Eprobungstelle Testing Mission has to be done at all, or you actually need to sink any ship or ships either. It really only affects your > Renown and Crew Bonus points. It does however give you the opportunity to practice and get used to your boat even if you go to the attack point but do not sink the ships. I never really understood why you would be ordered to attack at 9 knots against a stationery target. For an ideal attack procedure you would want to be stationery which would give you a better degree of accuracy. 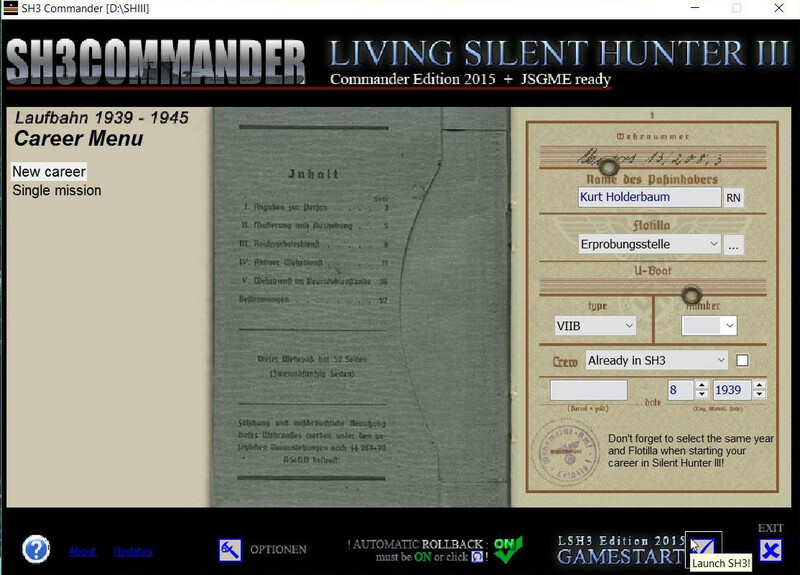 Sinking the 2 Targets adds to your tally of sinking’s which is not to everyone’s taste, as it gives a false account on your Career each time a > Eprobungsstelle Test Mission is done. 1 Bonus point given to each Crew member. No additional Bonus Points available to the Crew as ships were not sunk. If you wish to use the > DF Antenna. Ending The First Test Patrol (Eprobüngstelle) > Promotions > Transferring. When The Patrol Has Ended What To Do Next! 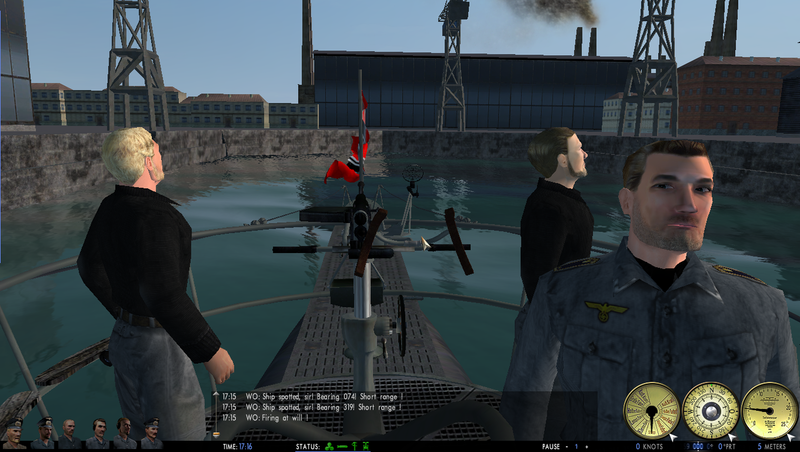 Picture 1 > When you click on > DOCK AT Stralsund you are immediately taken to > Picture 2. 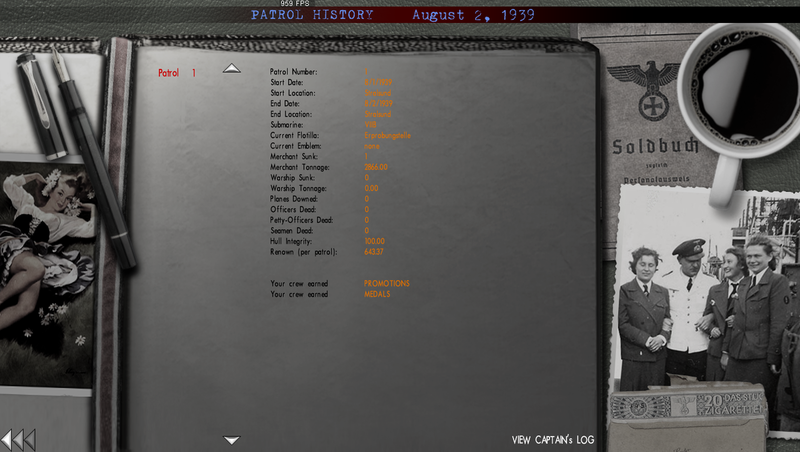 Picture 2 > This is your > Patrol History. You can see that the > Renown earned for completing the Mission and sinking one ship is 643.37 points. See also > Post #18 > Updating your Personnel File in SH3Commander. Press the > Back Arrow at the bottom of the screen. Documents on the desk > Promotions, Medals, Qualifications. Promotions must be taken now or lost. See also post #18 > Manage your Crew. 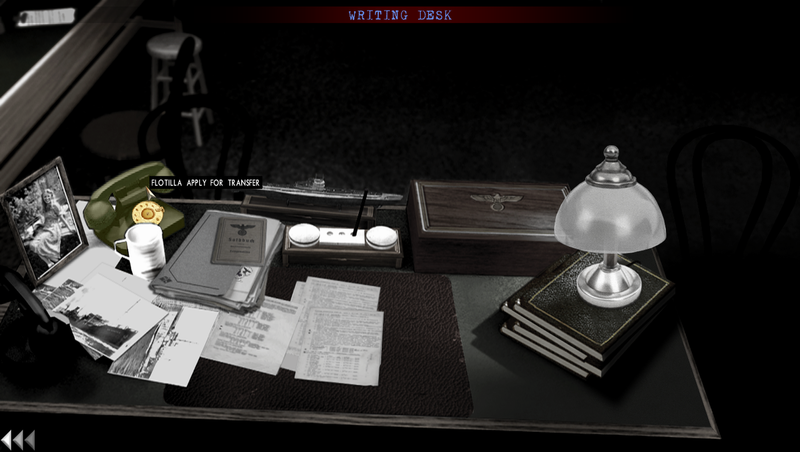 U- Boat on the desk > Aces rosta. Box on the desk > Your Awards. Telephone on the desk > Transfer Telephone. 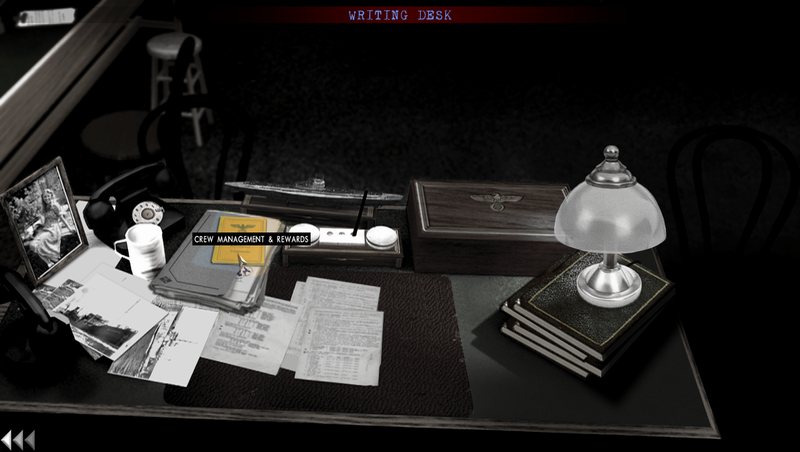 Picture 4 > Clicking on the > Documents on the desk takes you to the > Crew screen. 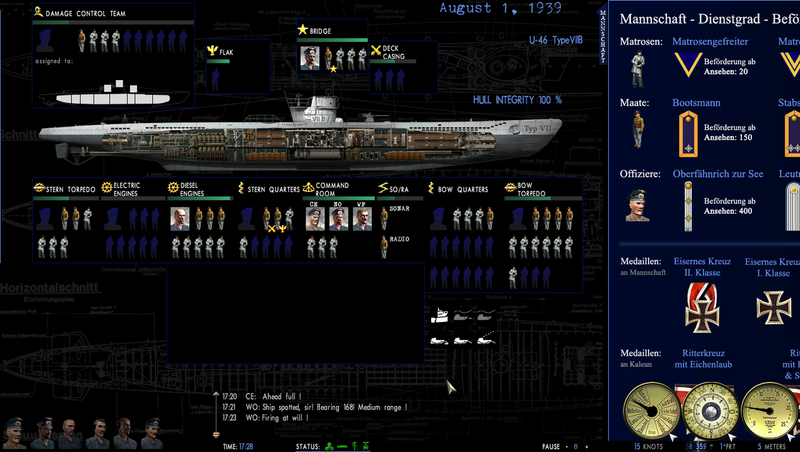 At this stage in your game only > Sailors can receive > Promotions. Officers can have a maximum of > 3 Qualifications. The first qualification is the most important one. Petty Officers have to have already achieved > 150 Resilience before a promotion can be done. Petty Officers can only have > 1 Qualification. Sailors can receive > 1 Qualification but it is not active. Giving Sailor’s a Qualification is useful for identifying their skill and compartment position. Picture 5 > You are required to confirm any changes made > Are you sure > Yes. Picture 6 > Medals > Here you can see the Mrdals you have been awarded to date. 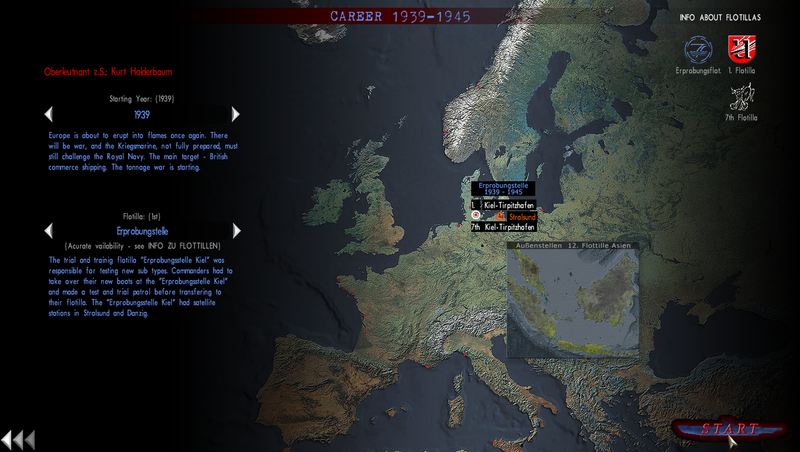 Picture 7 > Career History > You can see your > Mission History here. 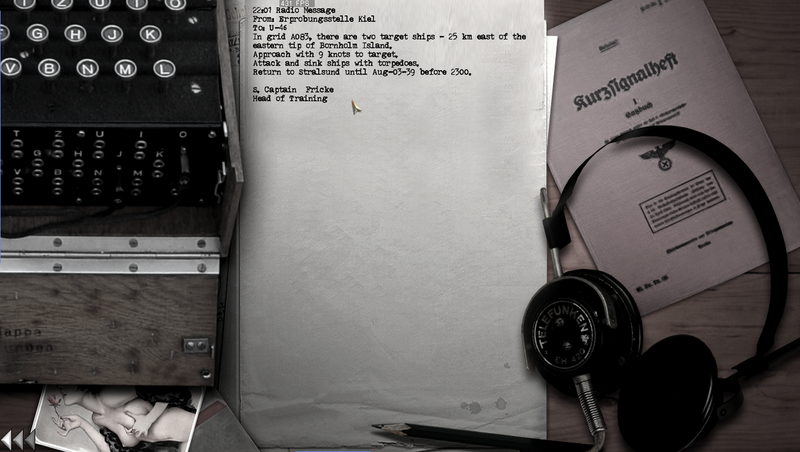 Picture 8 > U-Boat Aces > You can see where you are in the list of the Aces. Picture 9 > Transferring from the > Eprobungstelle Testing Flotilla. Click on the > Telephone. Picture 10 > You are going to transfer to >2. Flotilla. A Flotilla’s availability is controlled by date as you can see from the > Flotilla Chart. Transfers to these other Flotilla’s then become available using the same method as now. Picture 11 > Click on > Apply For Transfer. Picture 12 > Click on the >2. Flotilla. Picture 13 > Click on > Apply For Transfer. Note that the > Flotilla has turned > Blue. Picture 14 > Shows you new base > Wilhelmshaven. Click > Ok > to confirm your > Transfer request. Picture 16 > Writing Desk. Picture 17 > Press the > Back Arrow at the bottom of the screen. Picture 18 > The Office. The 643.37 Renown points has been added to the original 1000 = 1643.37 Total earned to date. Picture 19 > Career Menu Screen. Picture 20 > Captain’s Menu Screen. Picture 21 > Main Menu Screen. Click on > Exit Game. Picture 22 > Quit Game? Click > Yes to confirm. You will be returned to the desk top. To skip these go to Tutorial Post #19. Last edited by THEBERBSTER; 05-05-2018 at 03:18 PM. Making Further Changes To The HSIE Optional). Making changes here will make you game more difficult. Making Further Changes To The HSIE is an > Option Only and > Not Compulsory. Any further changes that are made to the HSIE will increase the difficulty level of your game. It is important to refer to the HSIE Manual so you understand what each patch does. 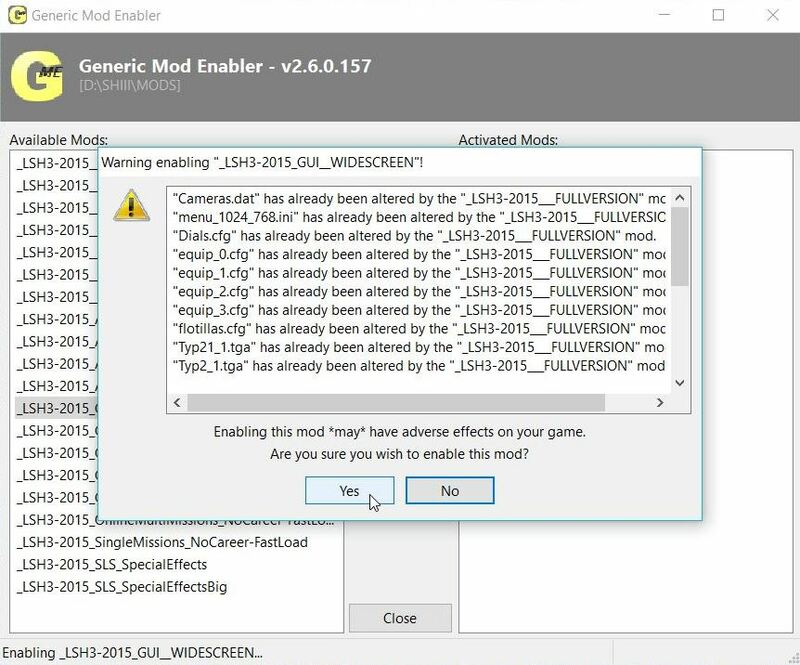 Remember to disable the HSIE Mod/Patch in JSGME first before making any changes to it. Picture 1 > Is a reminder of the default settings in the HSIE. Picture 2 > Shows the additional > HSIE patches enabled. For Patrol 2 > I am going to enable more > HSIE patches. Note 1. Additional information on the Oxygen Fix patch. The Oxygen Fix patch I have enabled is interesting as it limits the amount of > Oxygen Supply that is in the boat when submerged. When the natural air in the boat gets down to 17% the Crew then have to use > Pressurized Oxygen from bottles. O2 is broken into 2 parts. Part 1 > Renewable O2 that is replenished when the U-Boat surfaces. Part 2 > Non Renewable O2 from Pressurized Oxygen bottles. The 2 Oxygen sliders have been adjusted for use with the > O2 Oxygen Fix patch. Note 2. Oxygen levels in the U-boat. When submerged the Oxygen level starts at 21% until it falls to 17% when Pressurized Oxygen is taken from Bottles. This Oxygen cannot be replaced until you Dock again. Last edited by THEBERBSTER; 05-05-2018 at 03:23 PM.